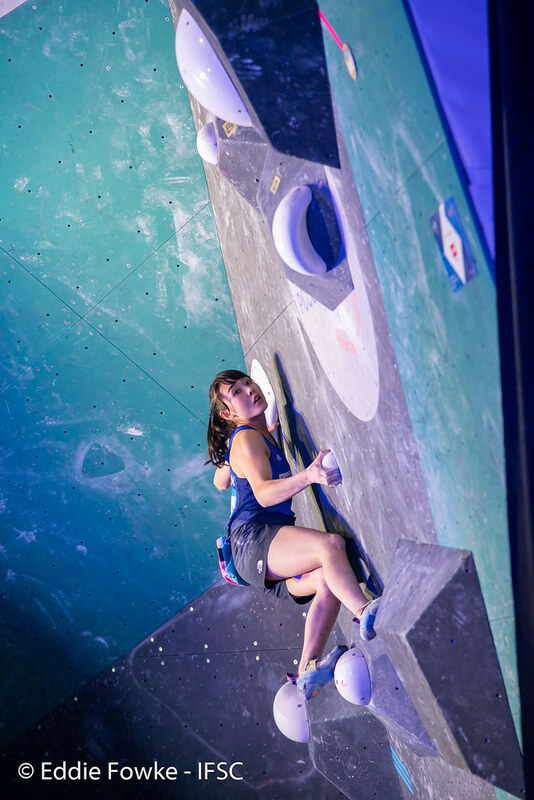 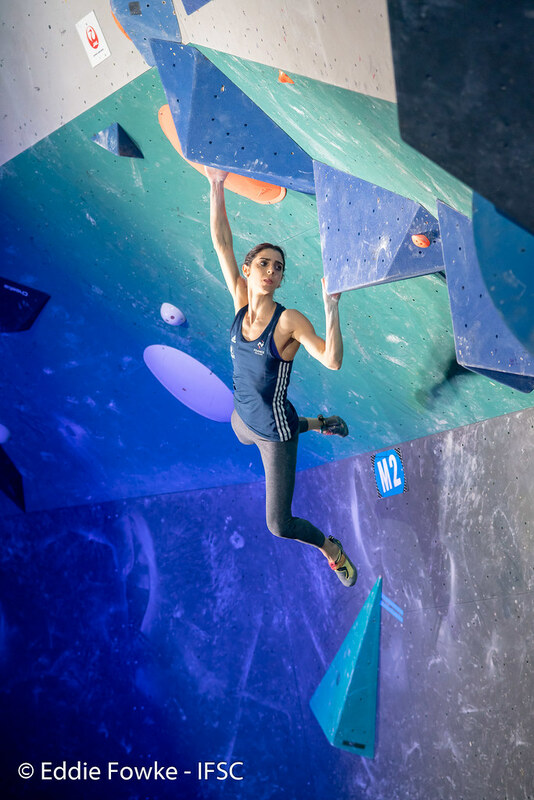 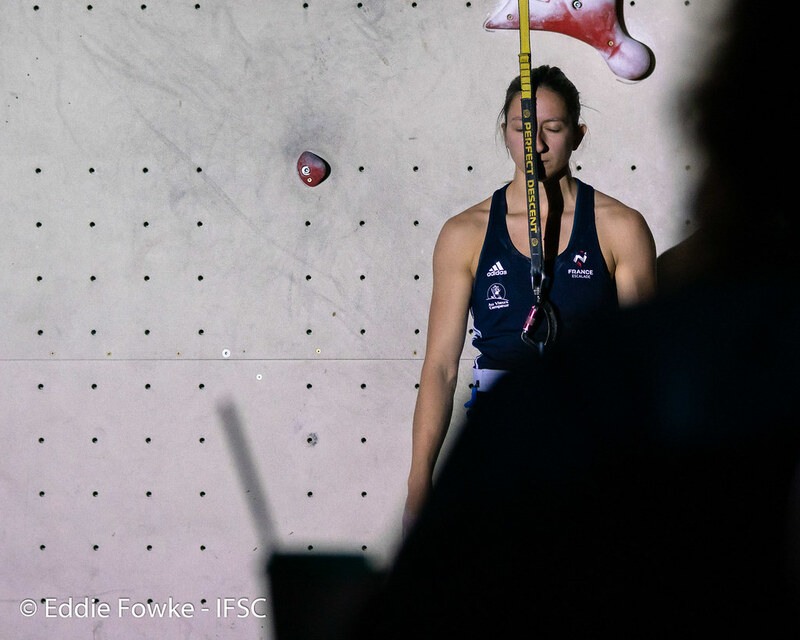 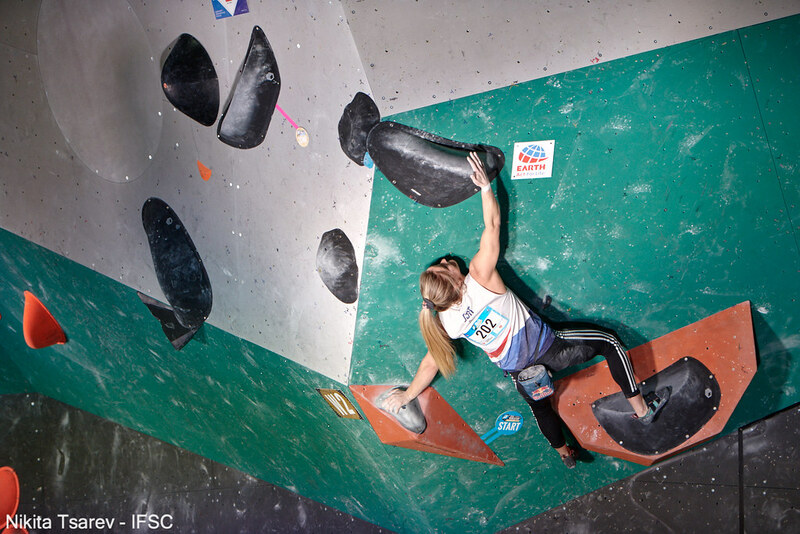 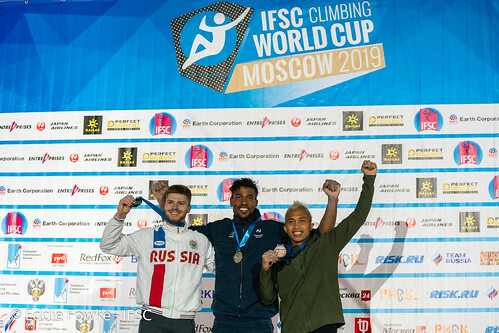 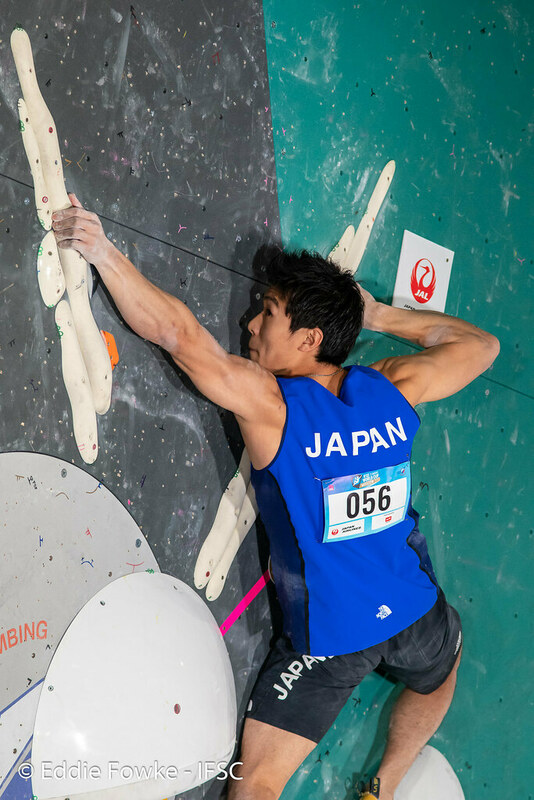 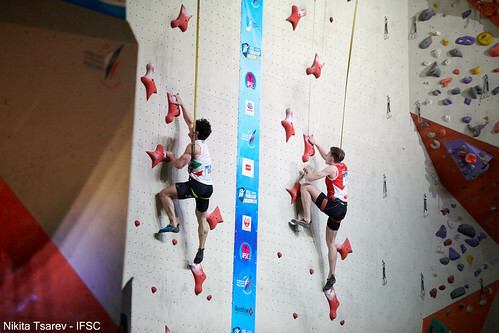 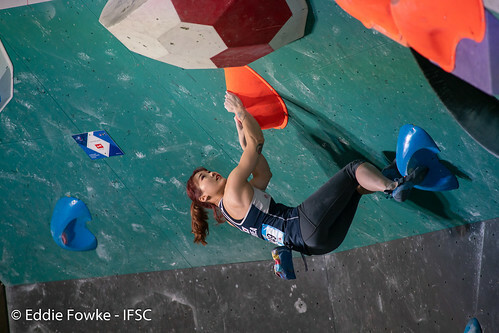 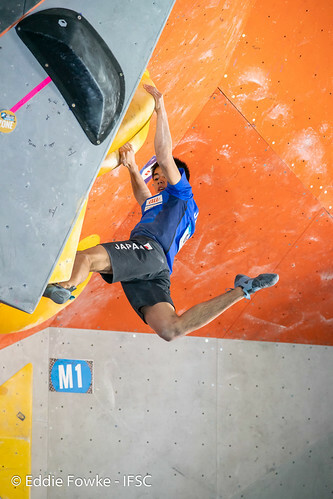 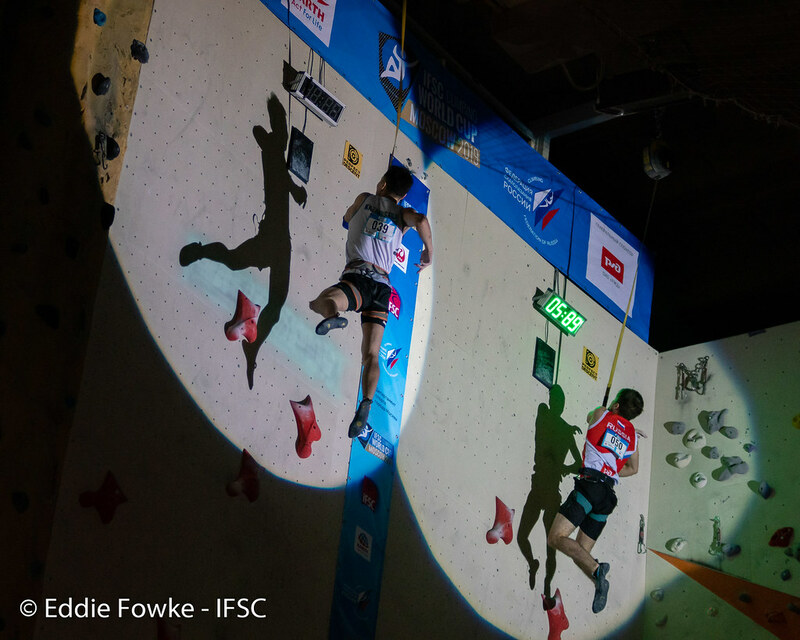 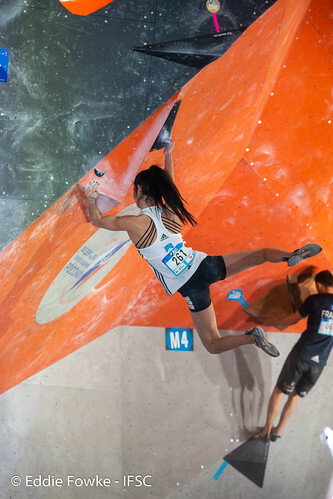 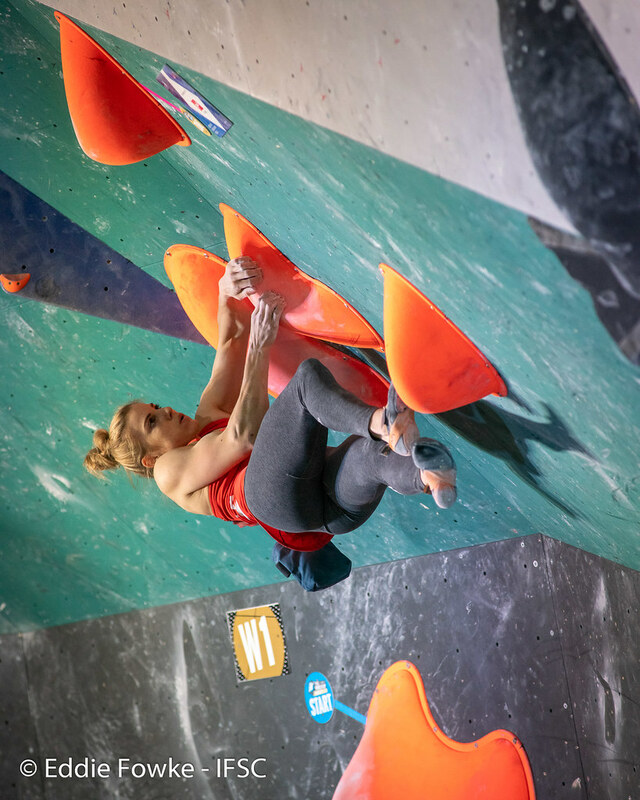 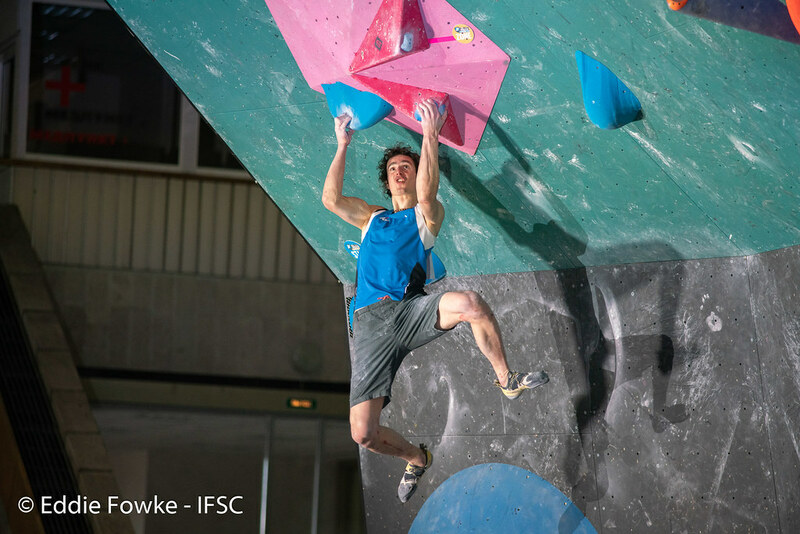 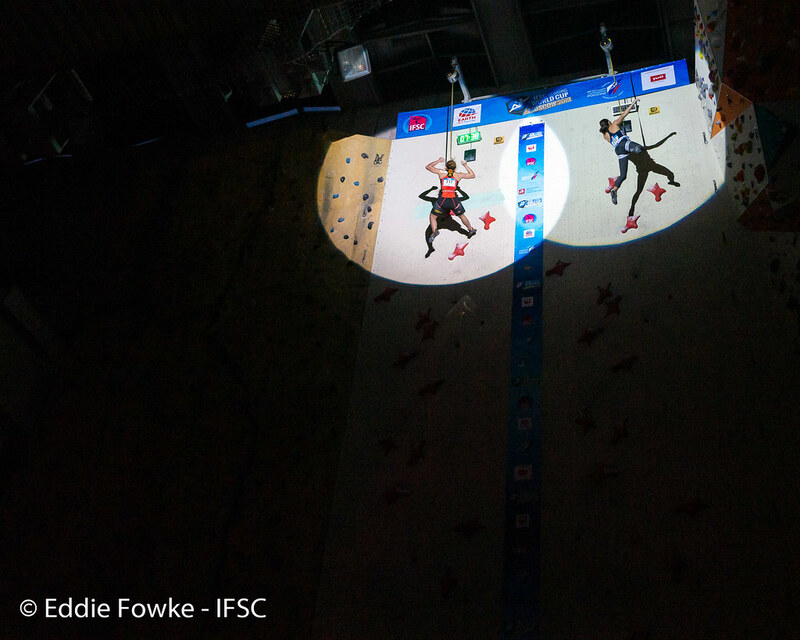 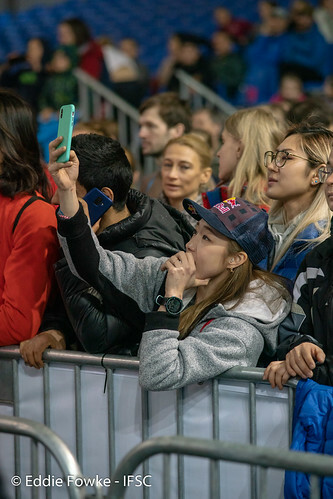 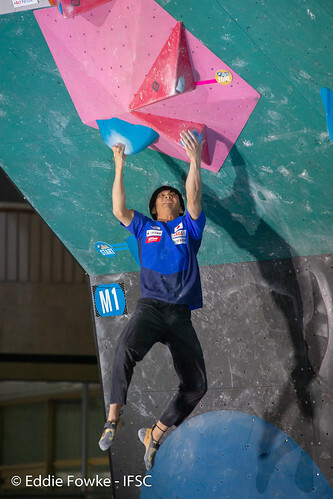 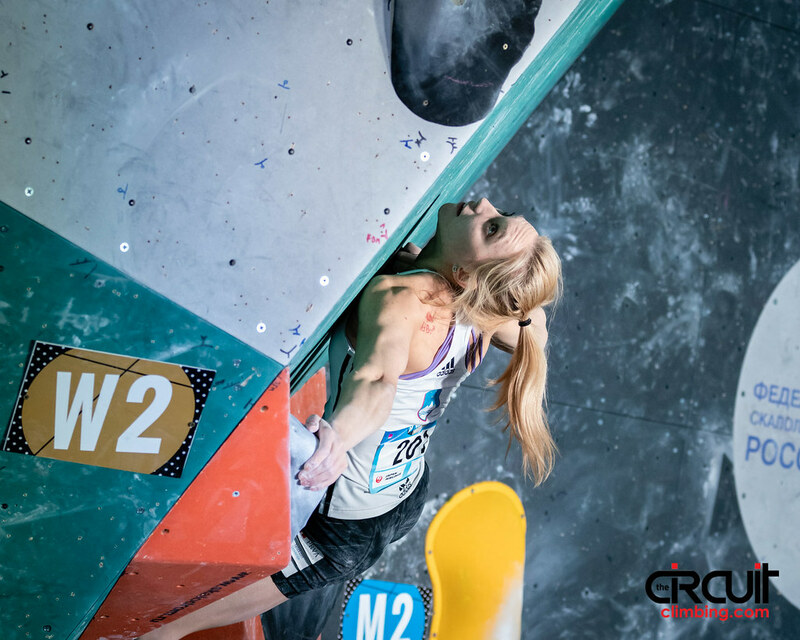 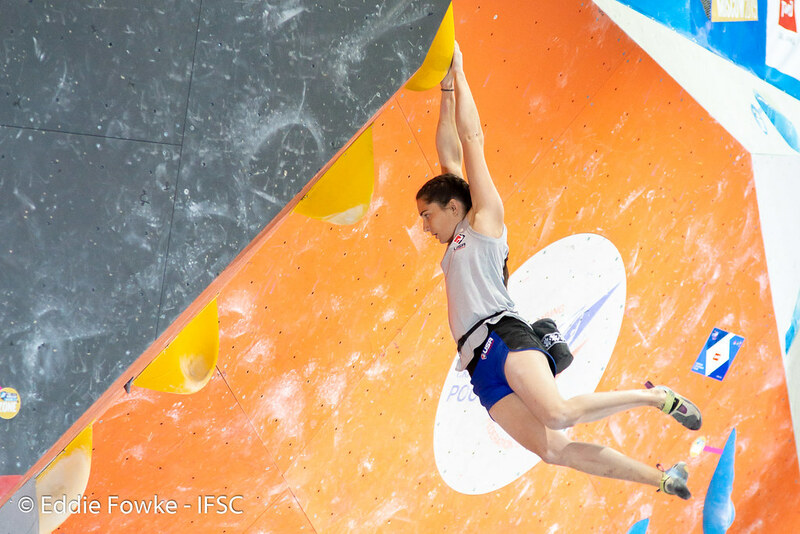 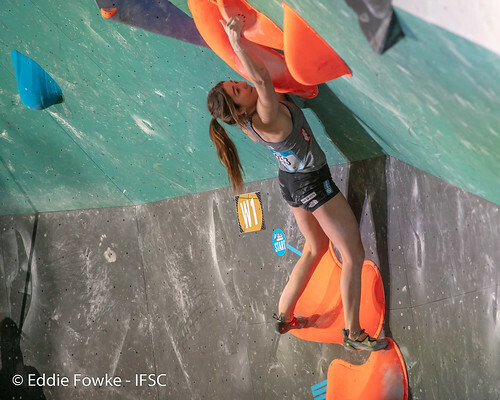 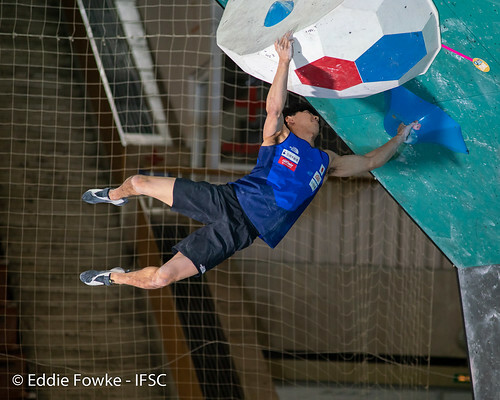 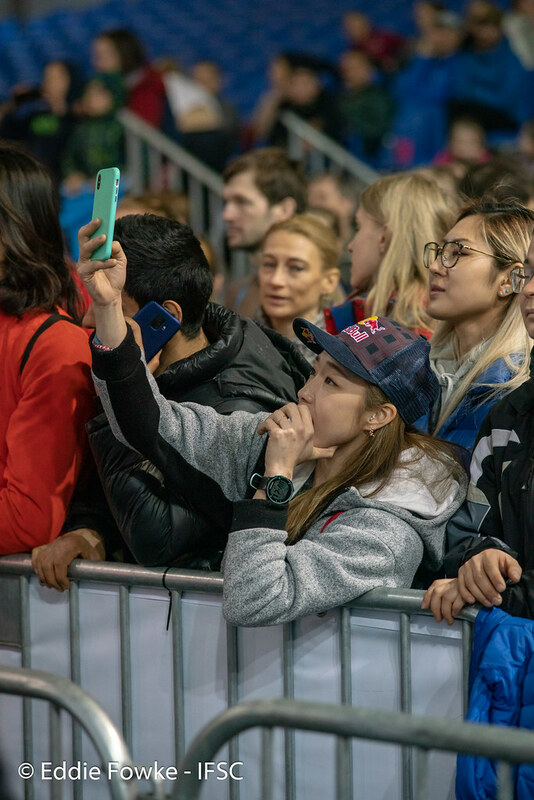 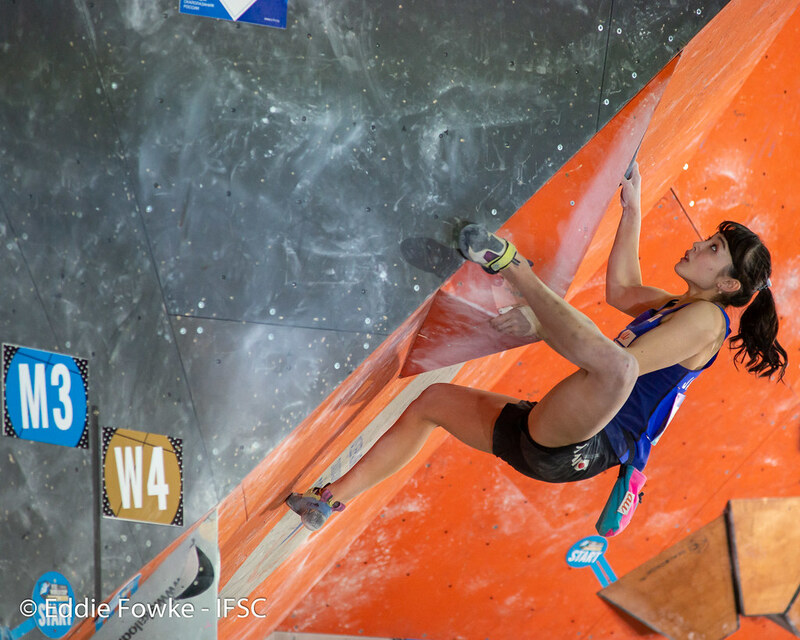 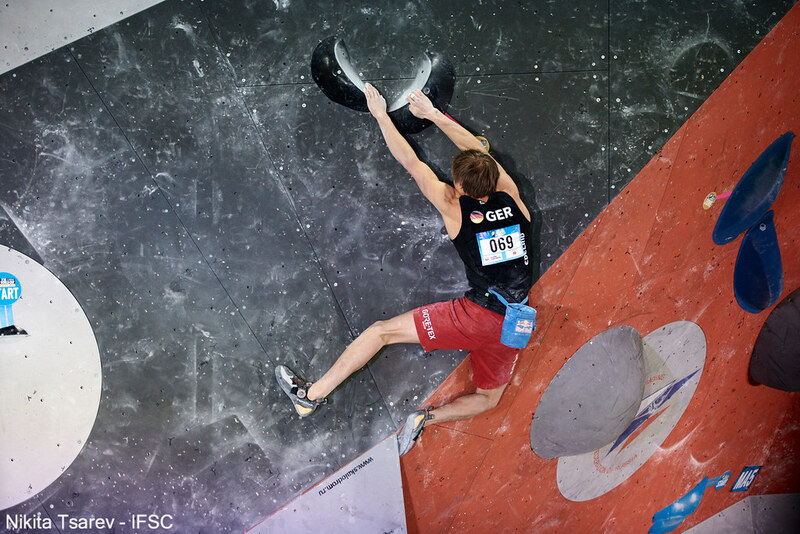 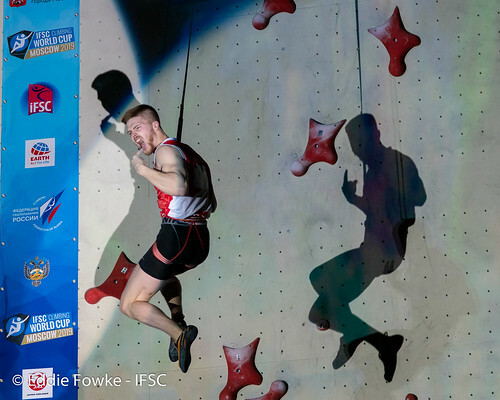 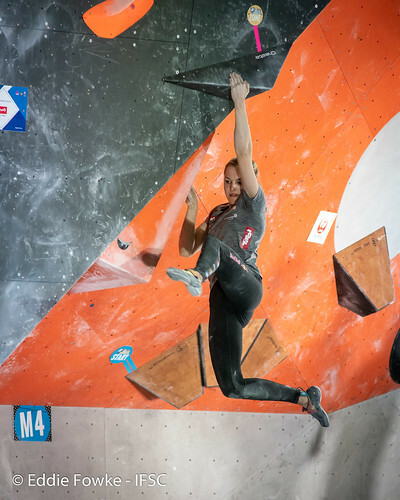 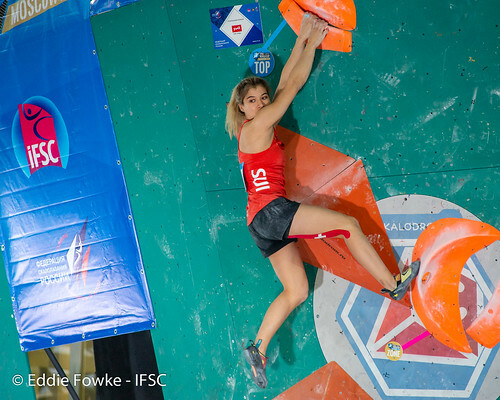 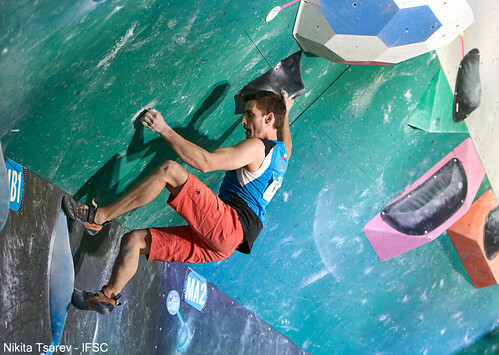 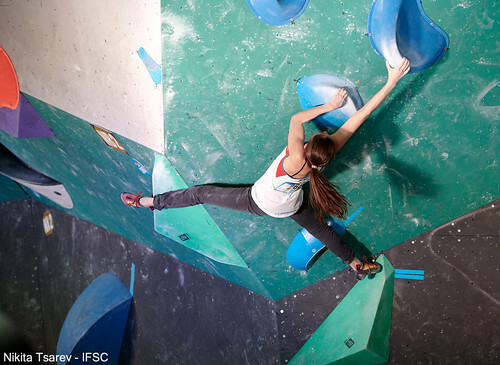 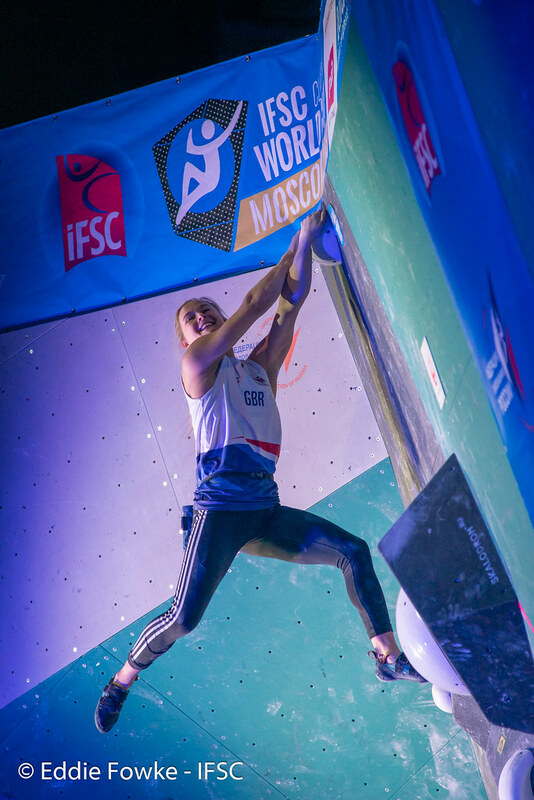 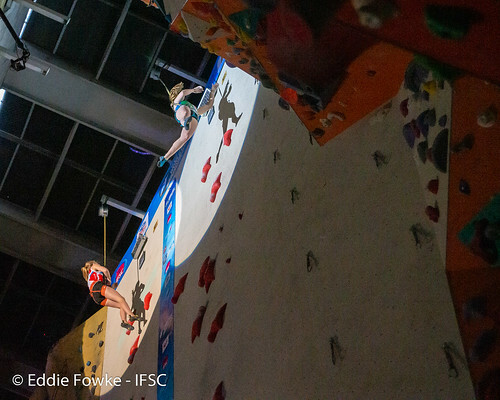 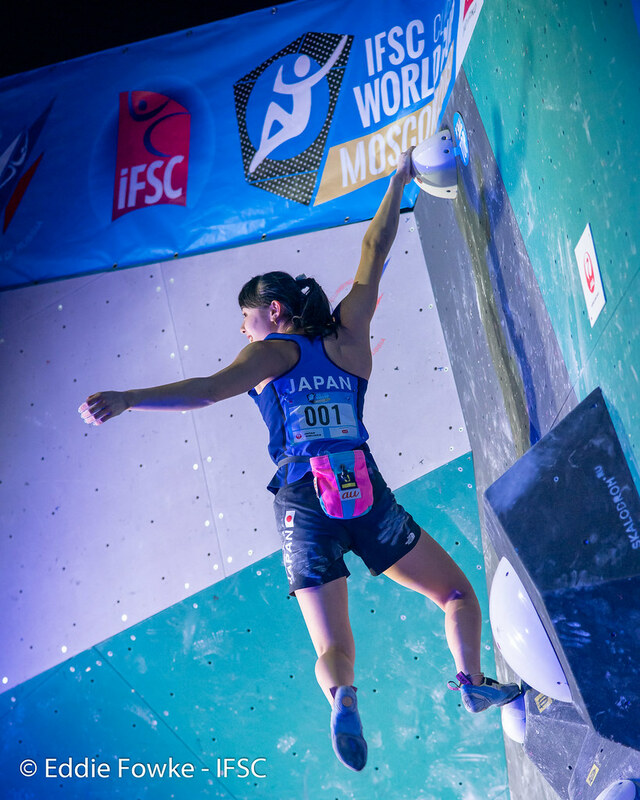 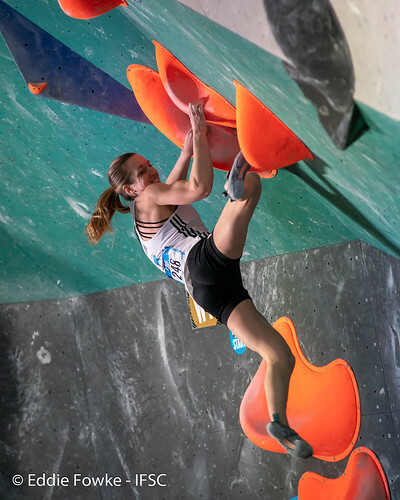 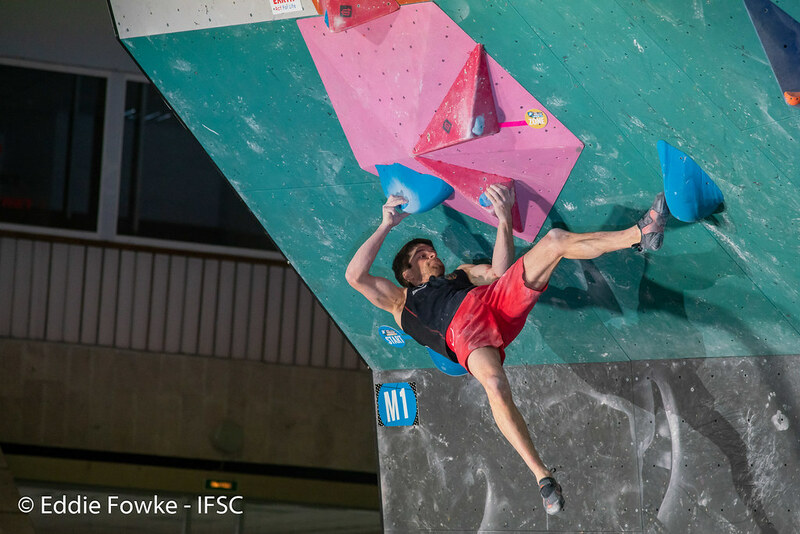 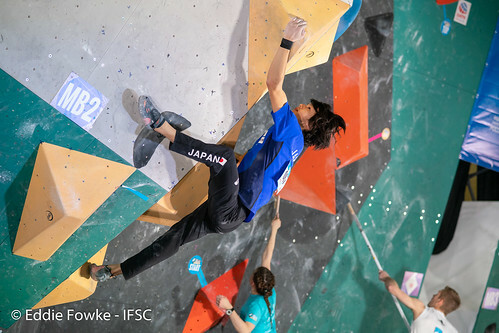 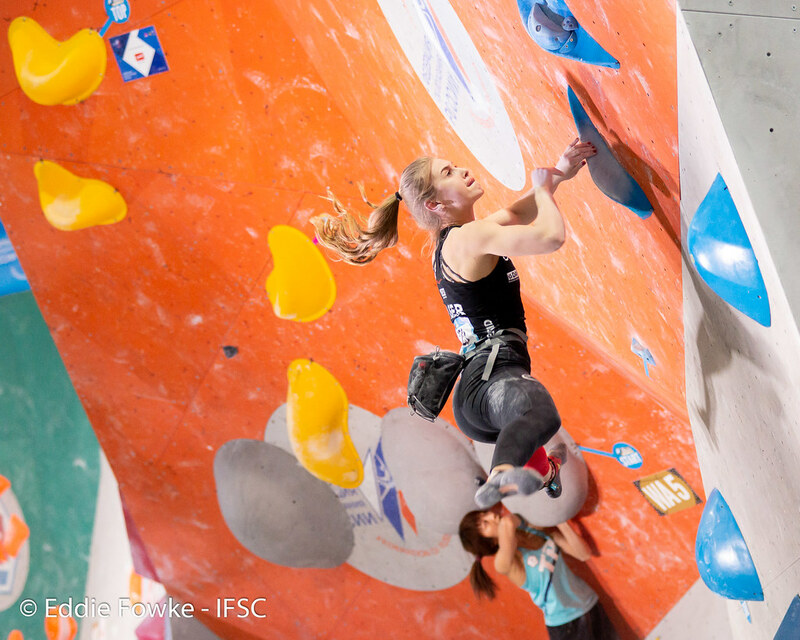 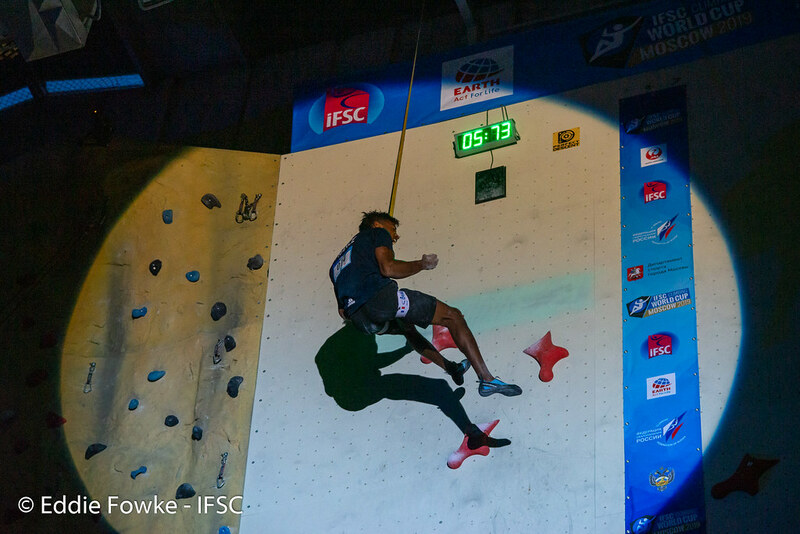 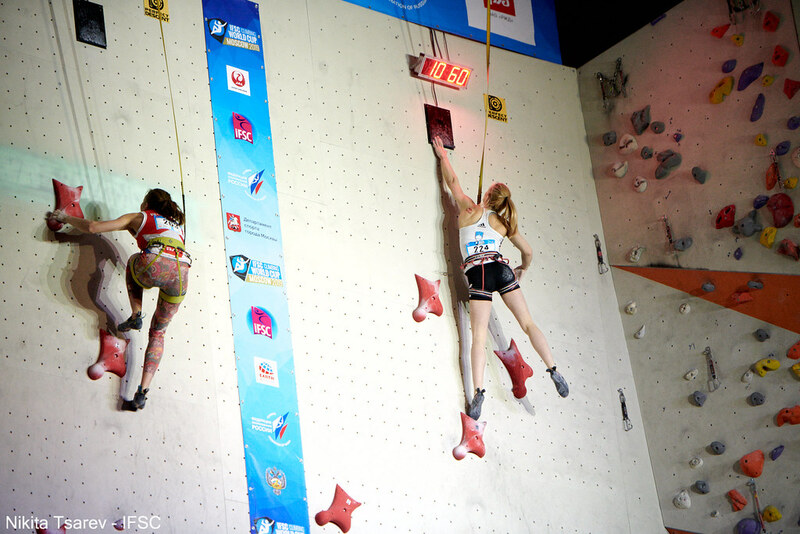 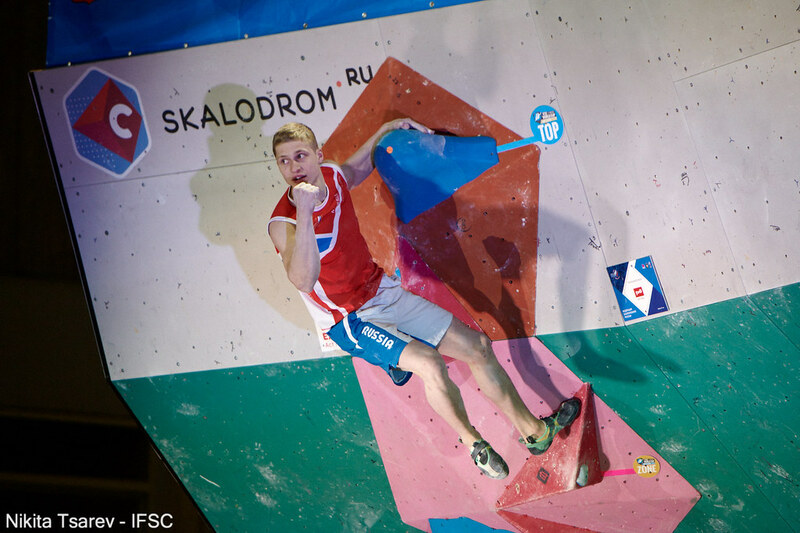 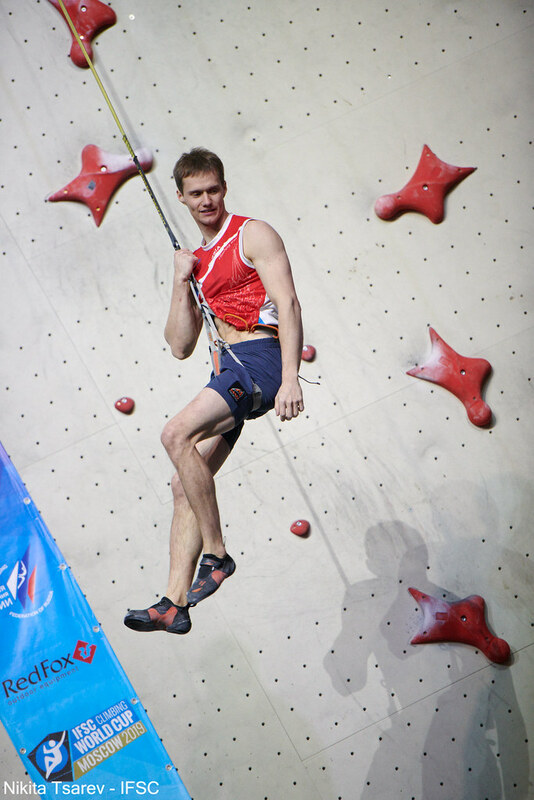 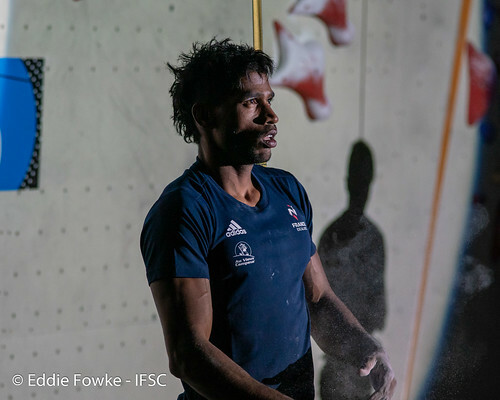 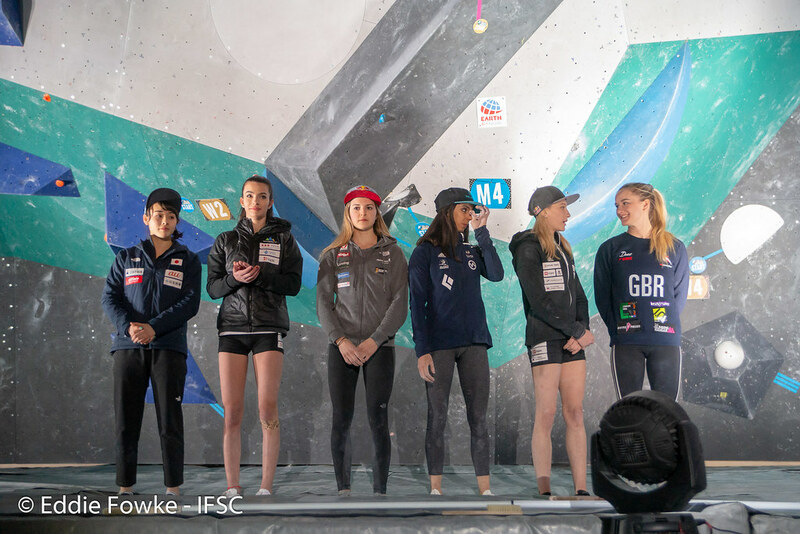 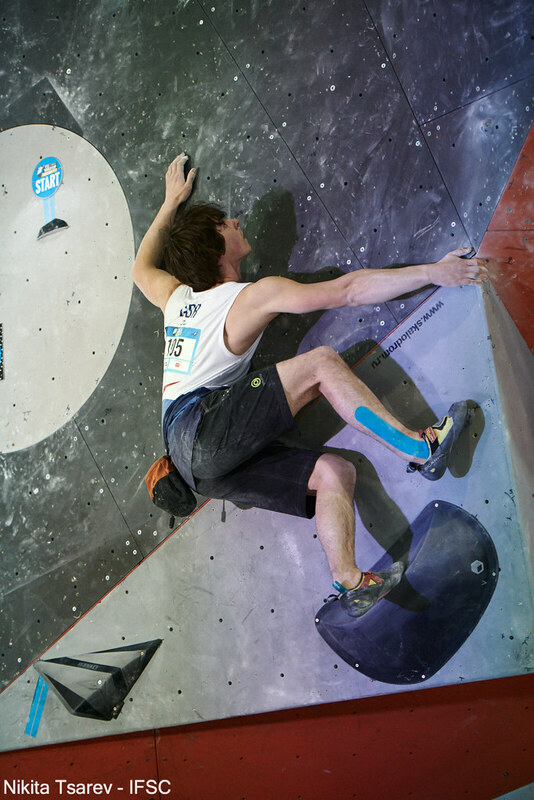 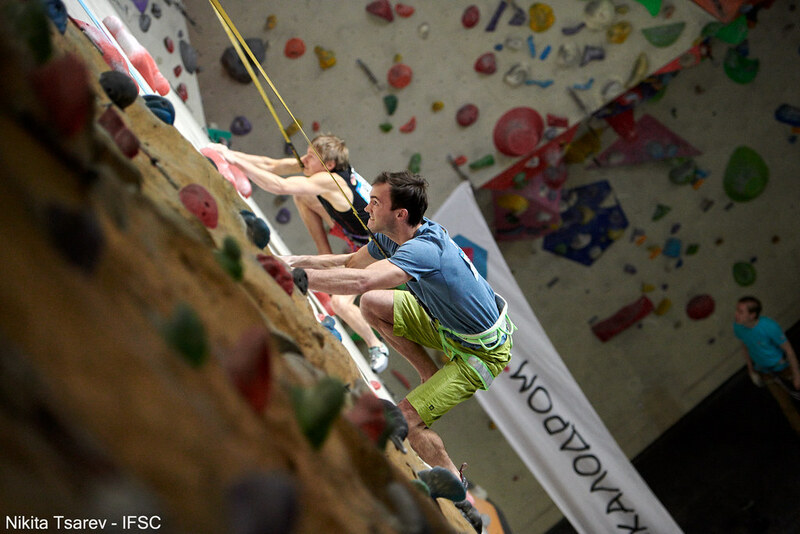 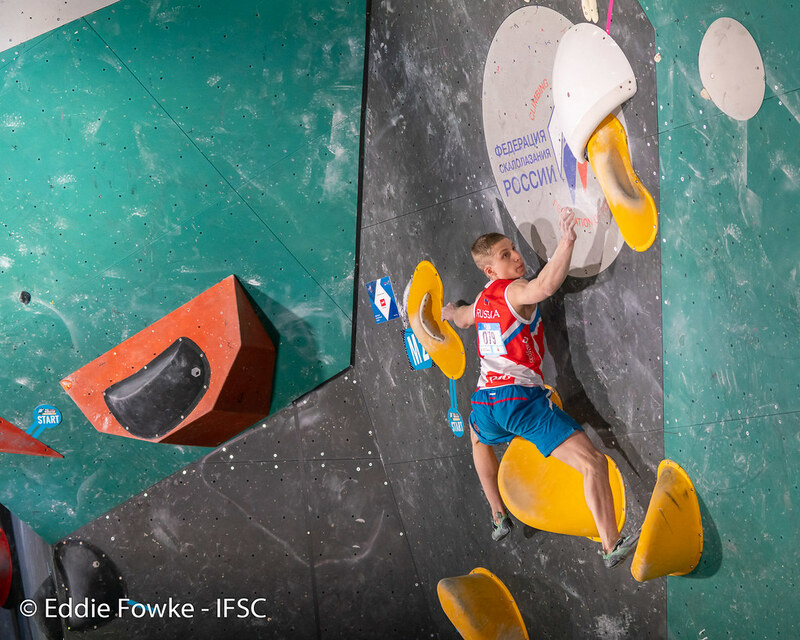 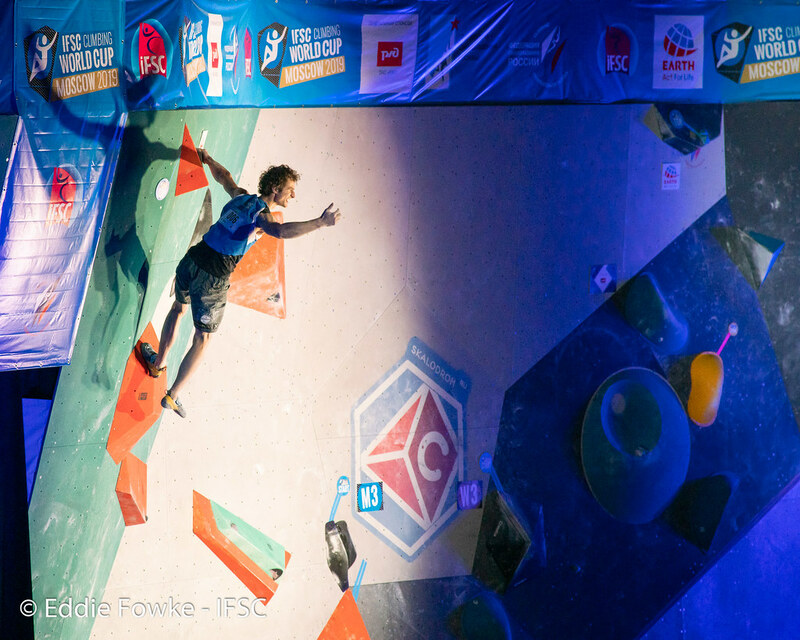 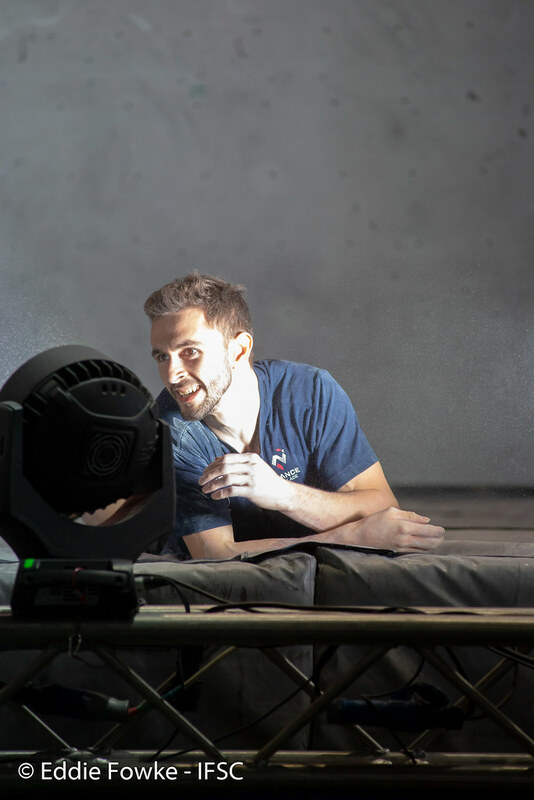 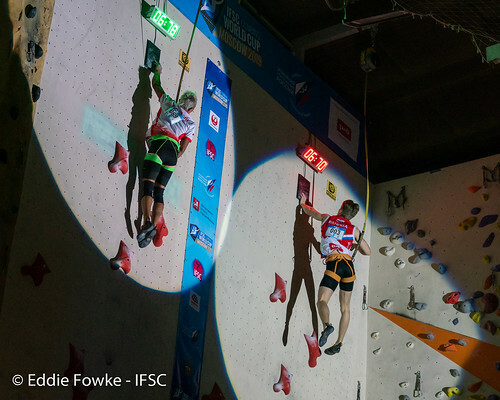 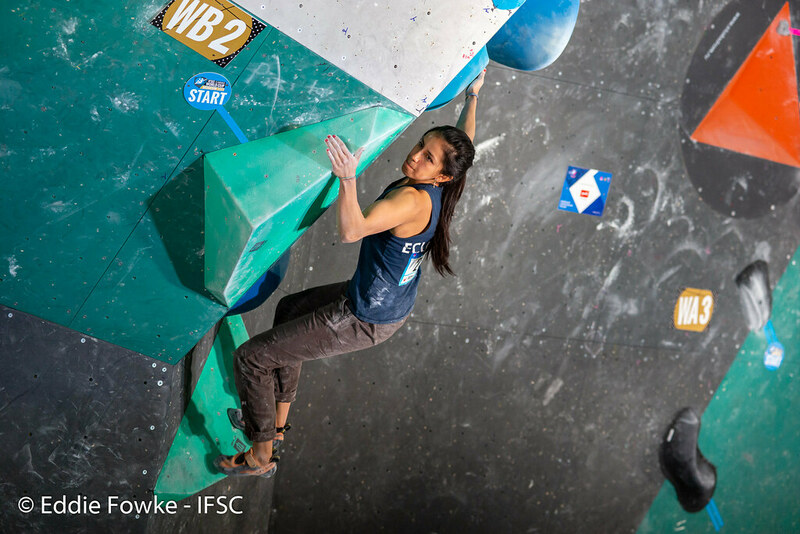 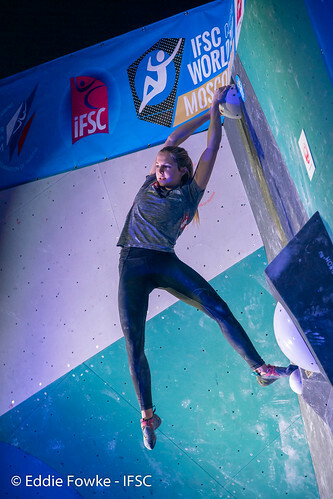 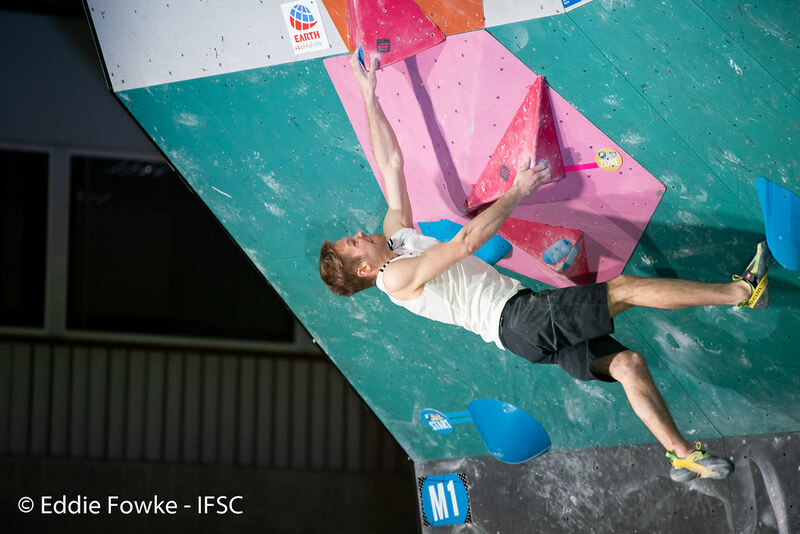 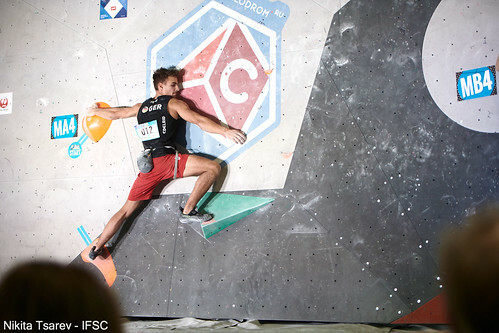 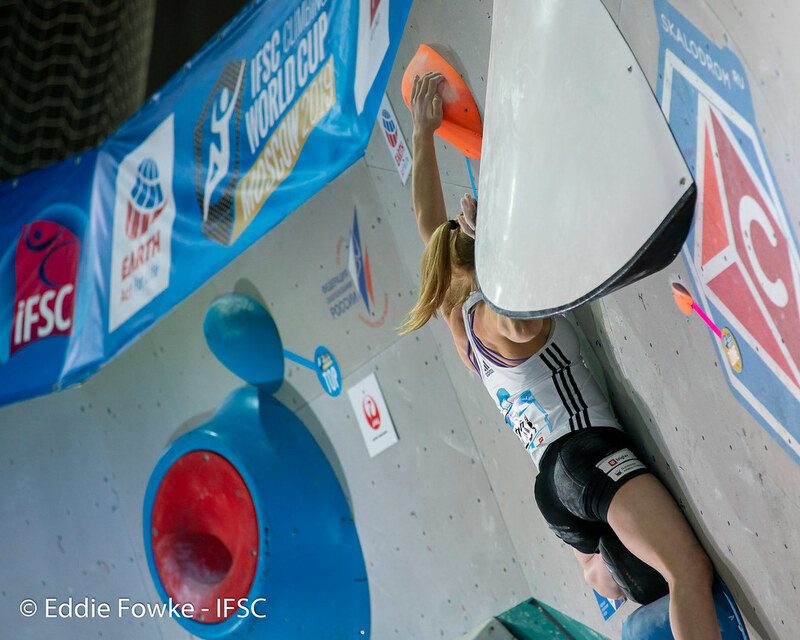 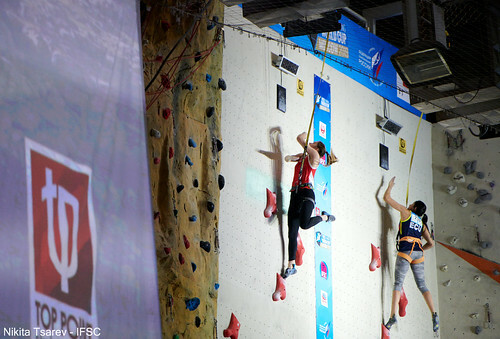 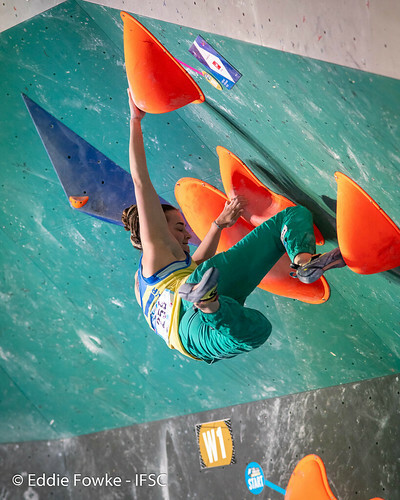 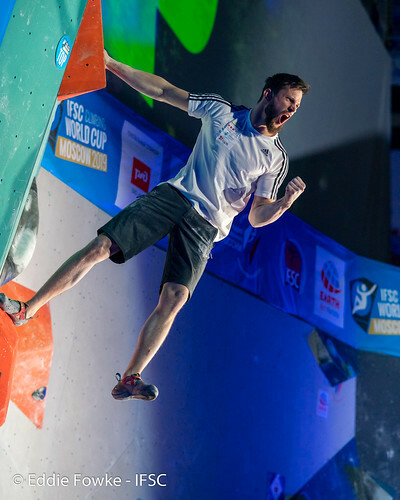 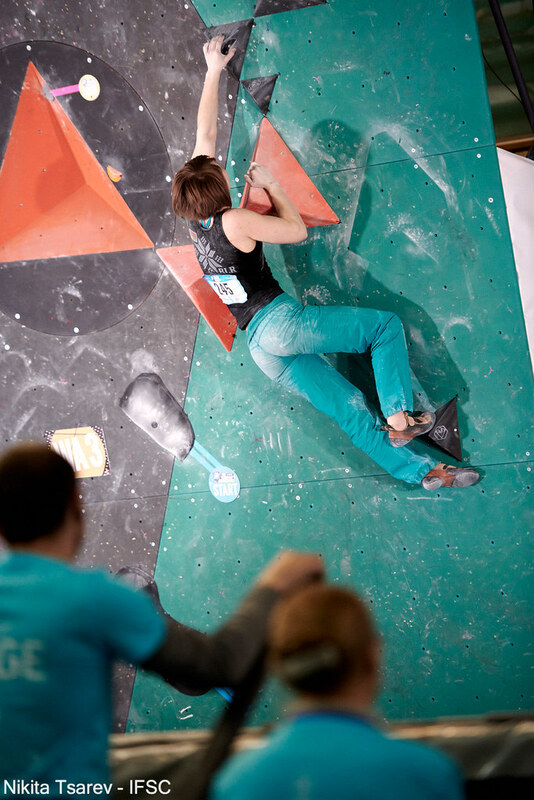 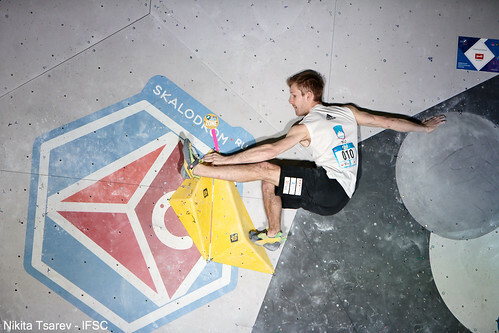 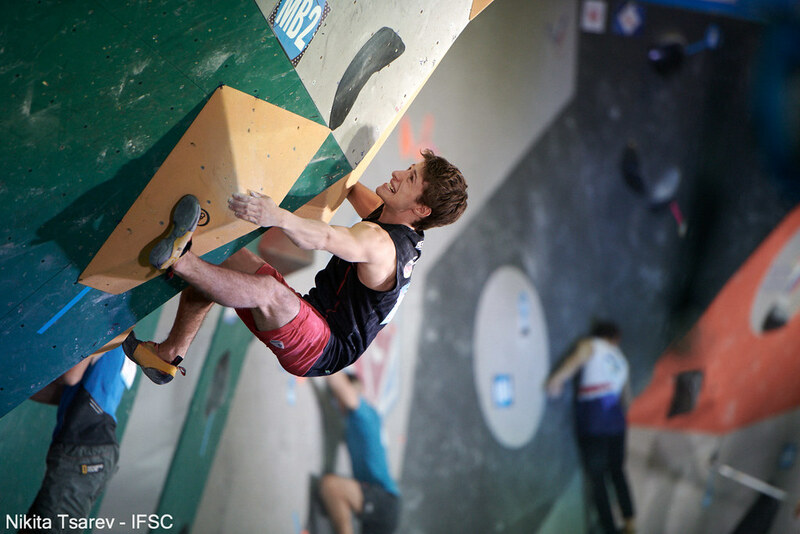 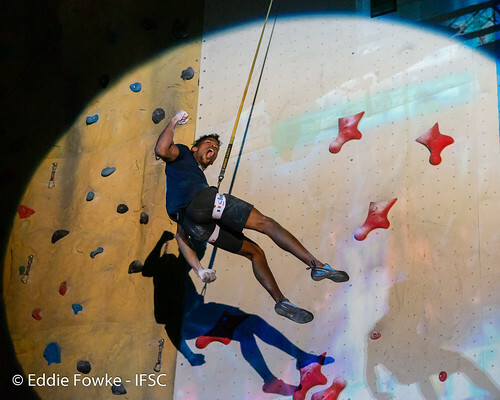 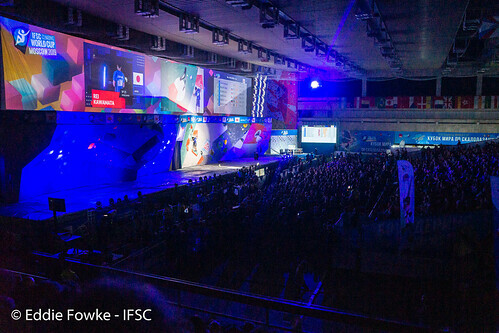 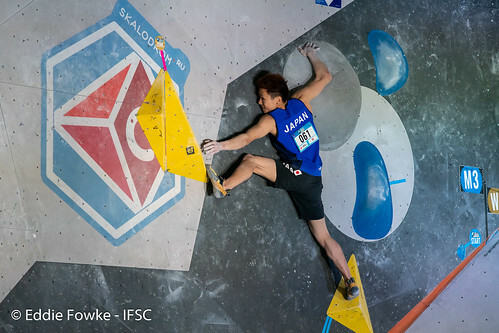 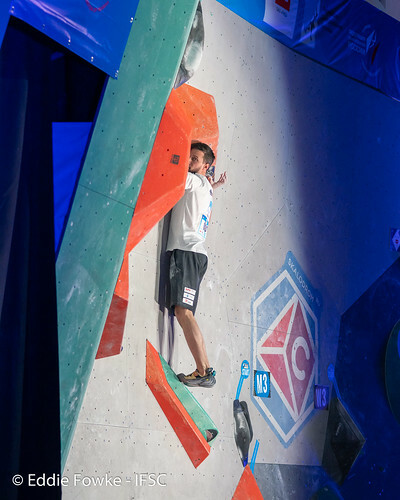 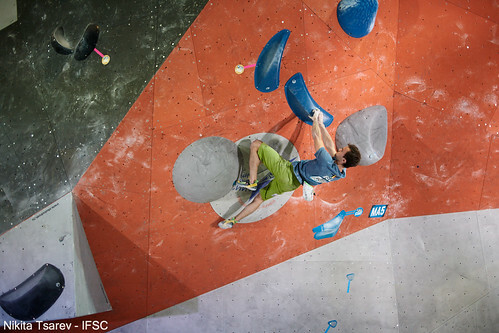 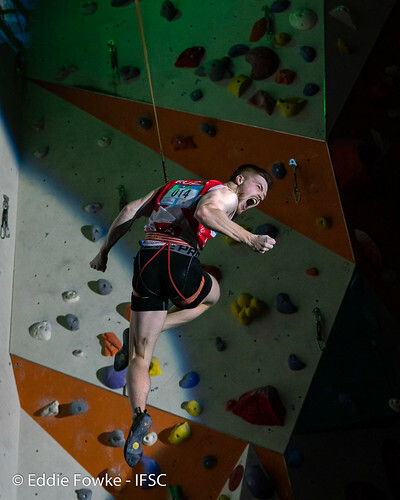 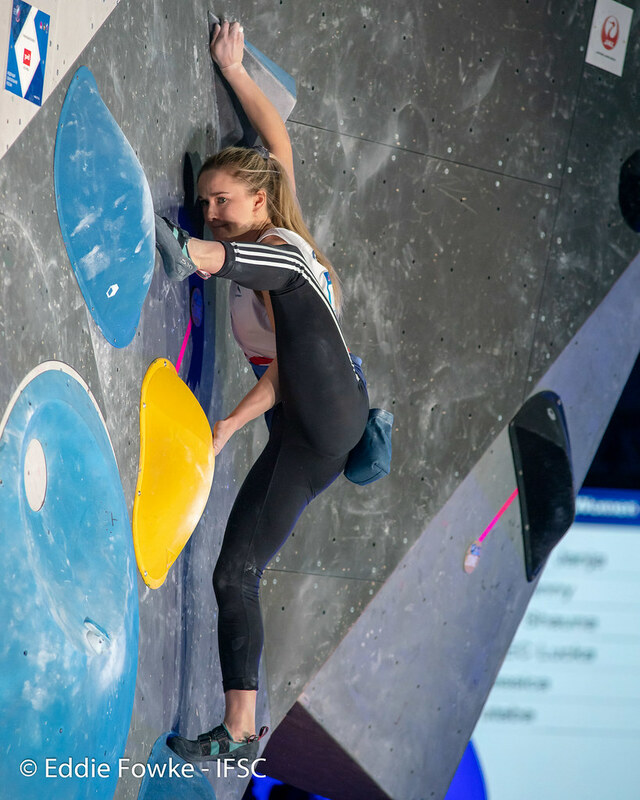 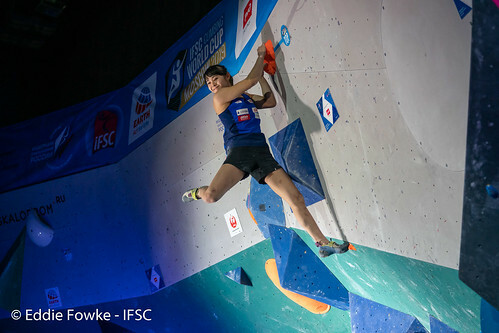 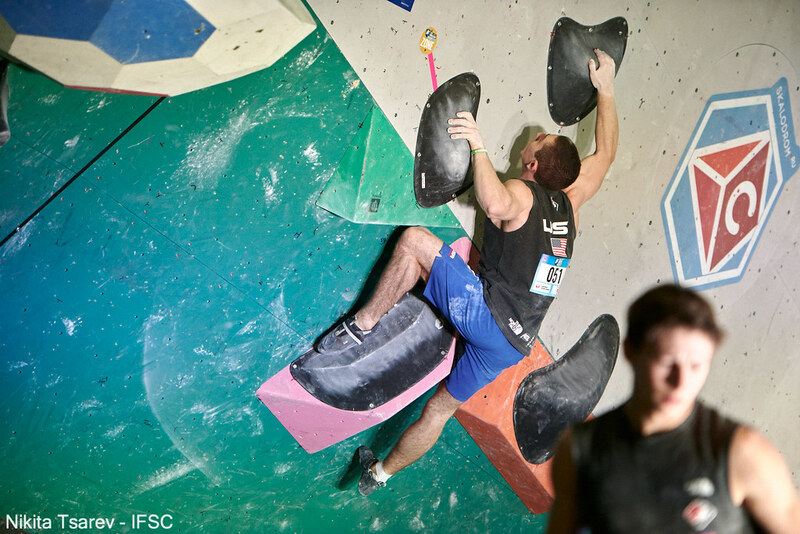 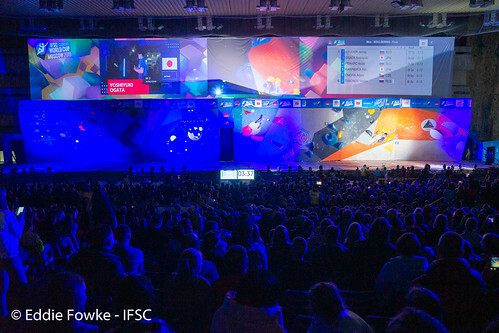 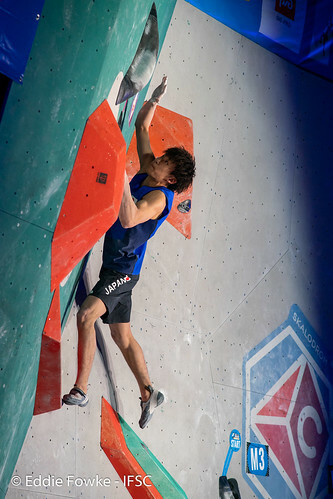 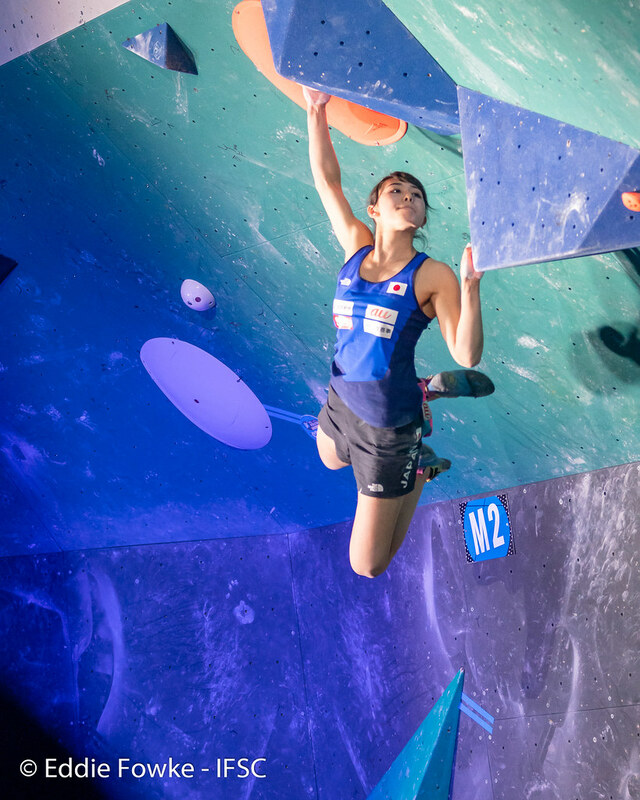 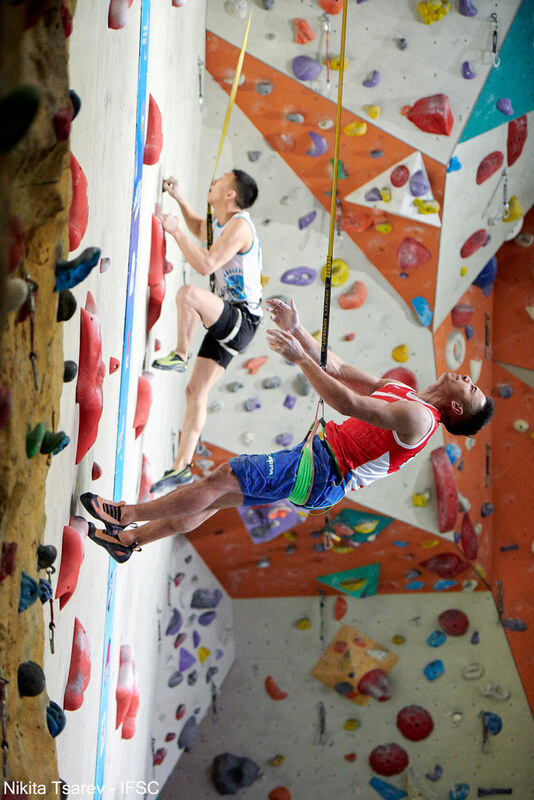 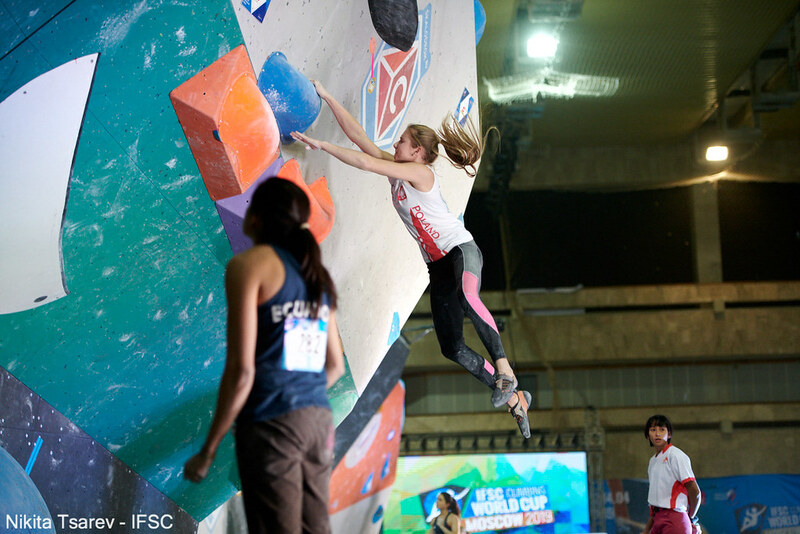 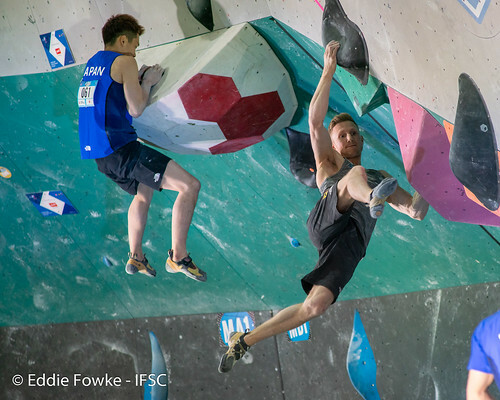 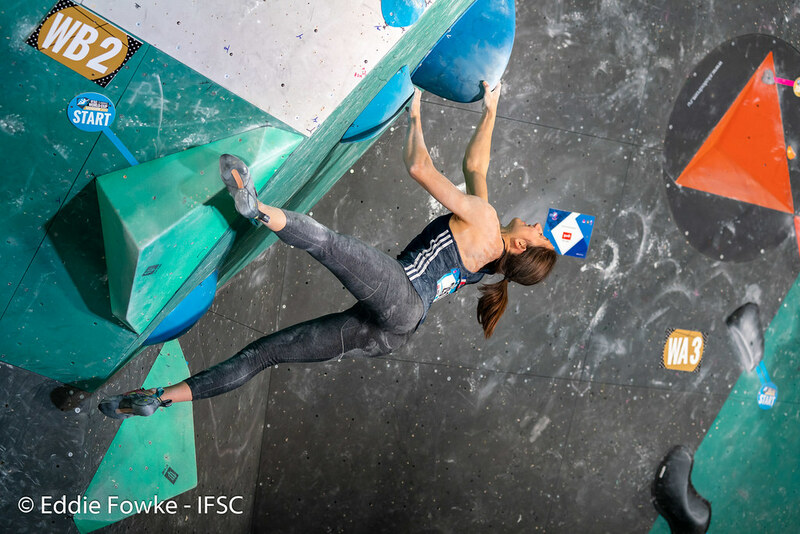 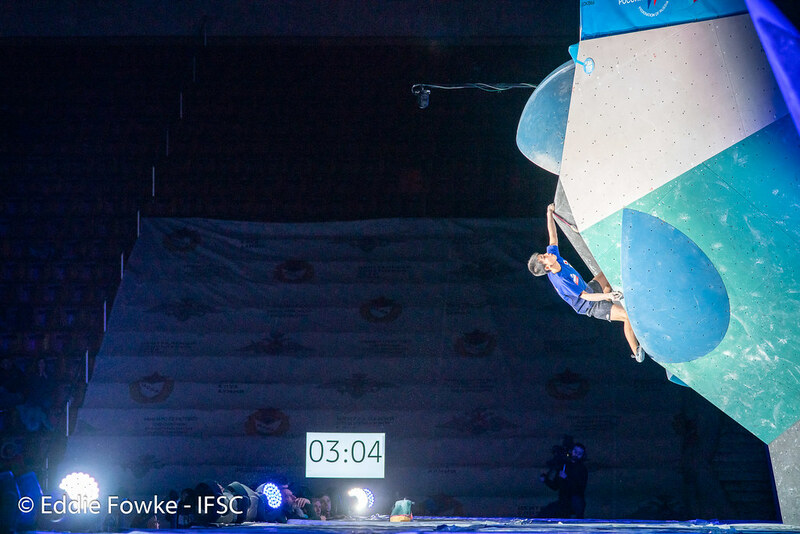 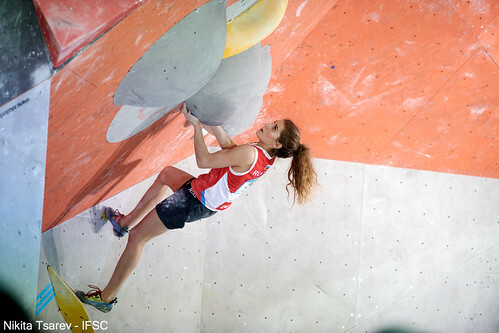 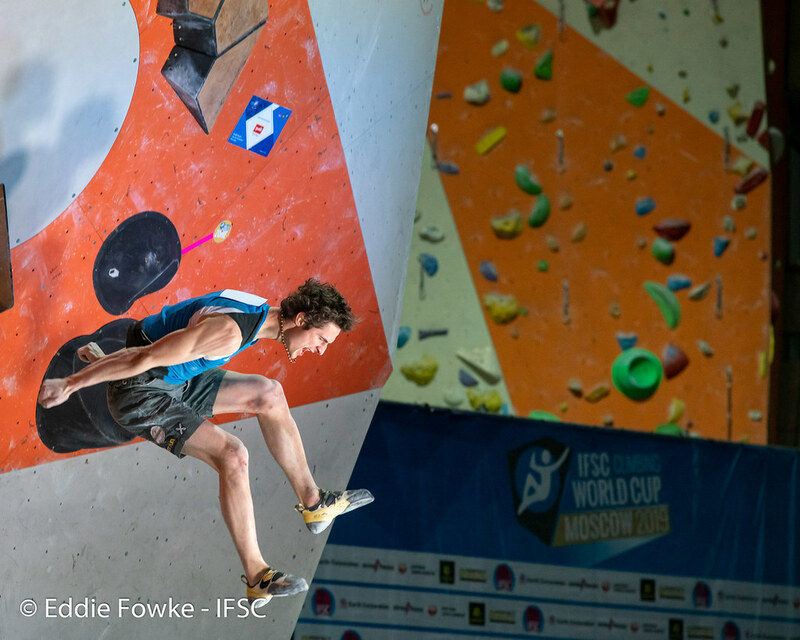 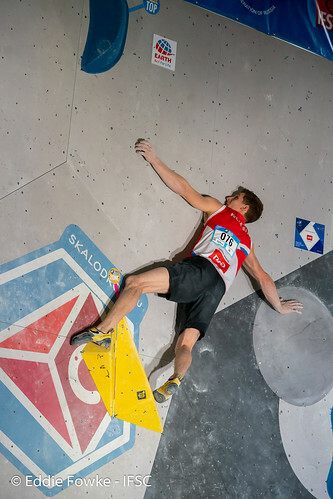 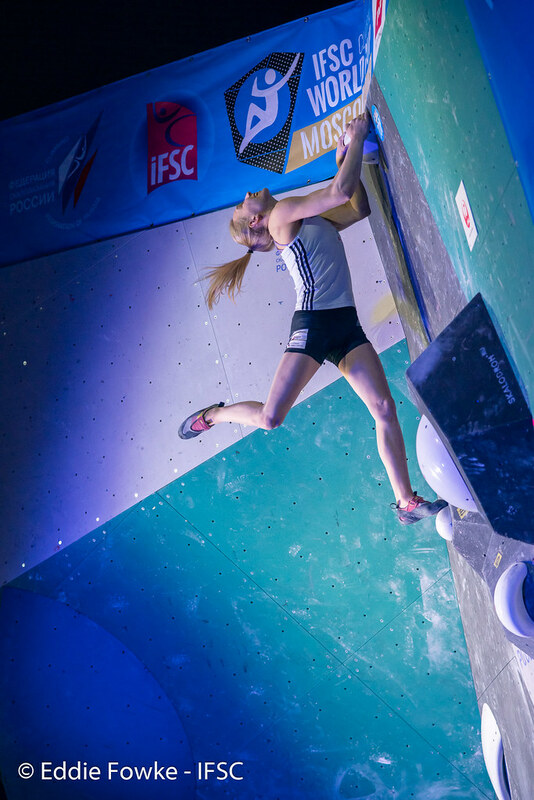 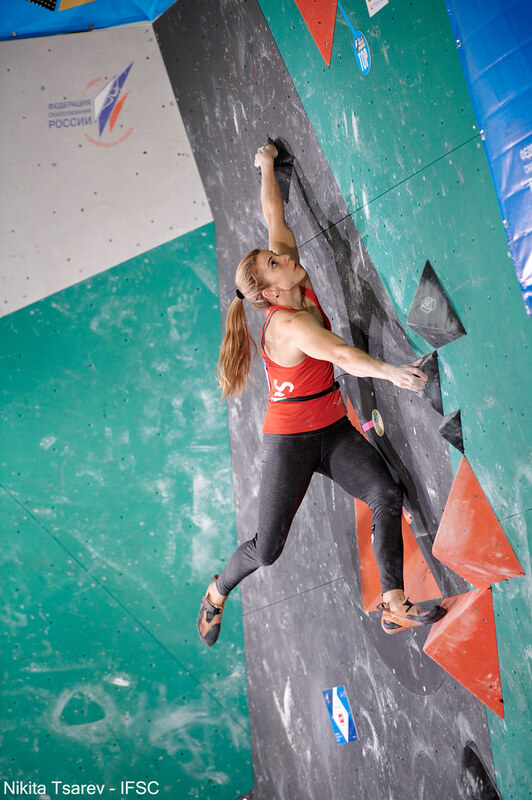 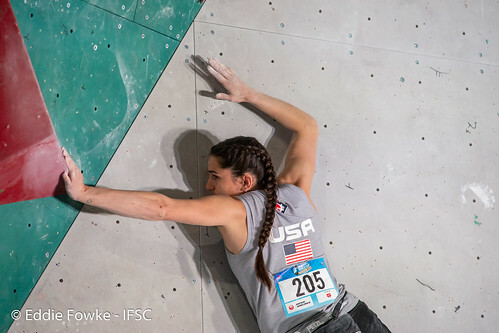 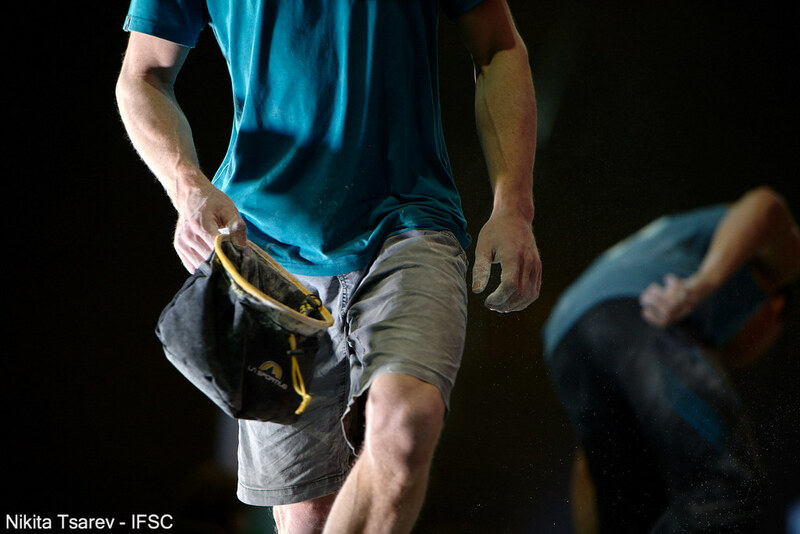 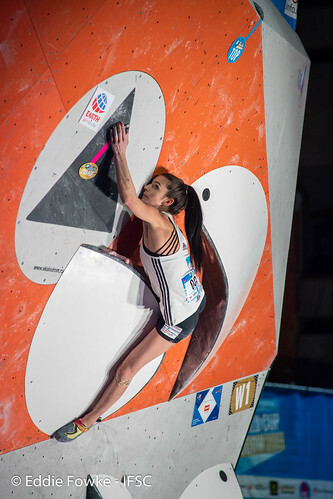 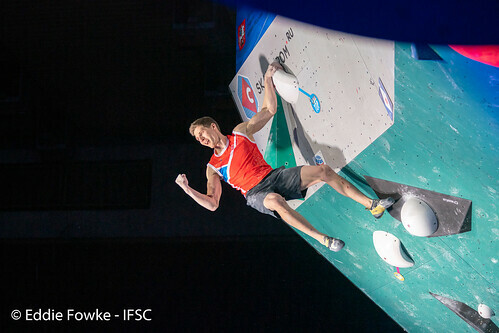 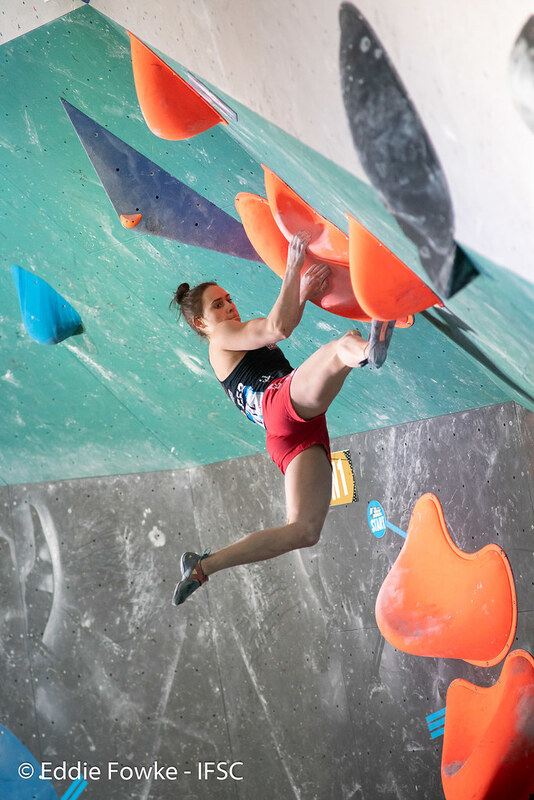 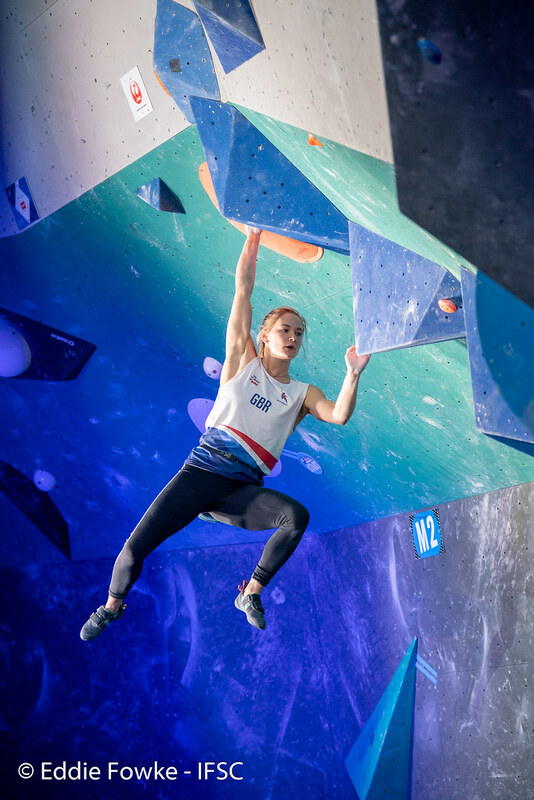 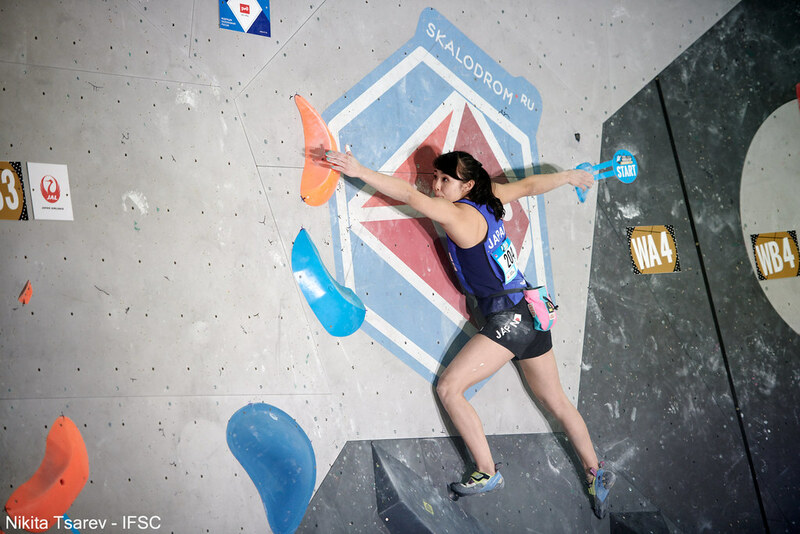 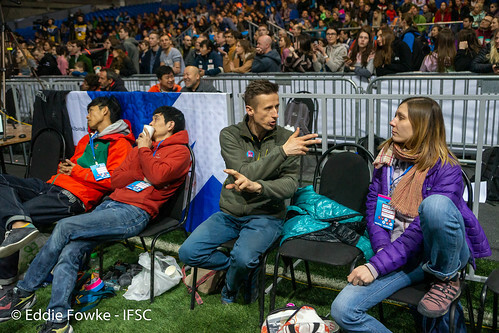 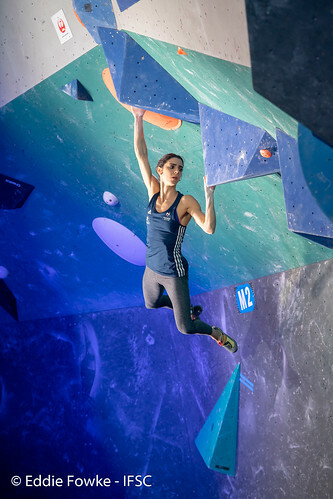 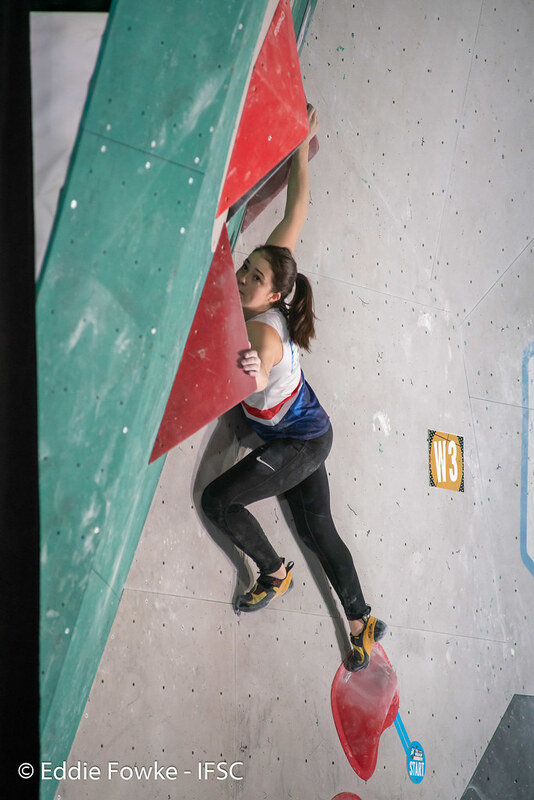 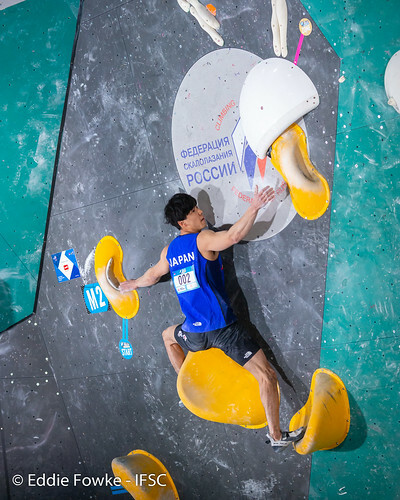 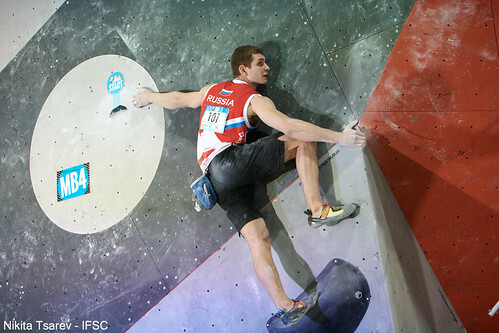 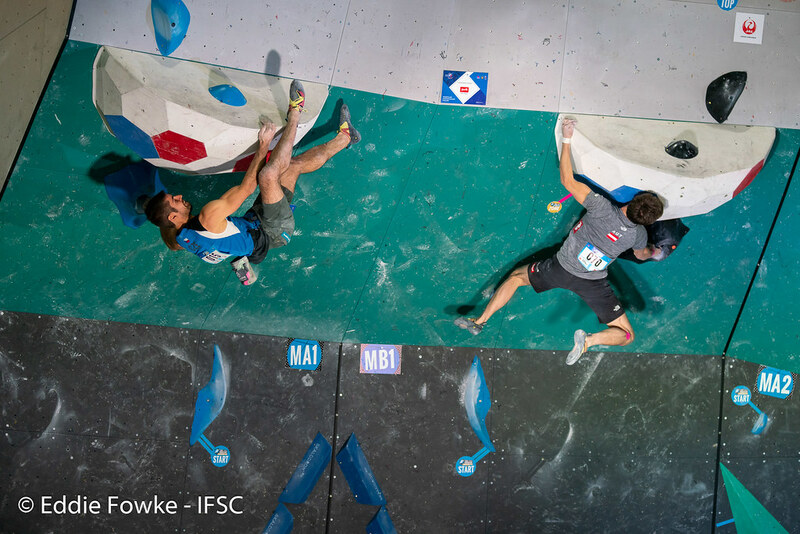 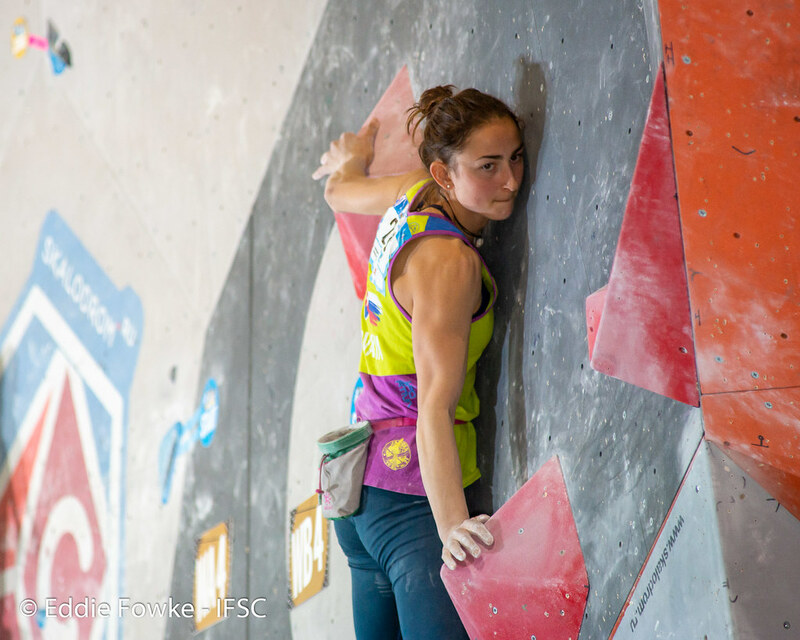 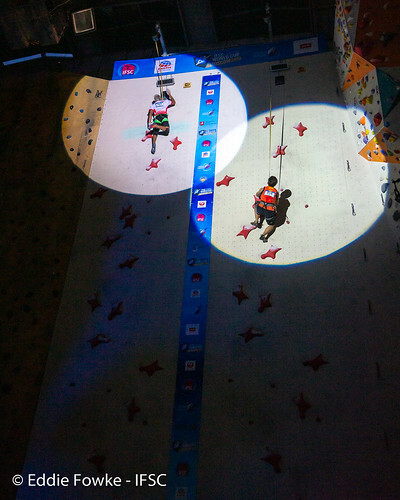 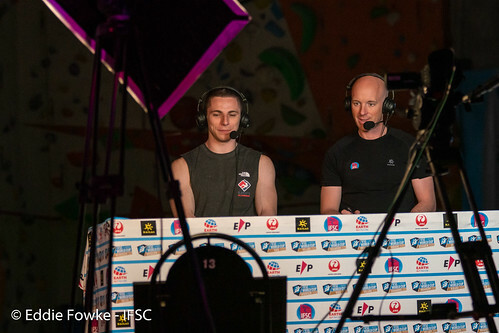 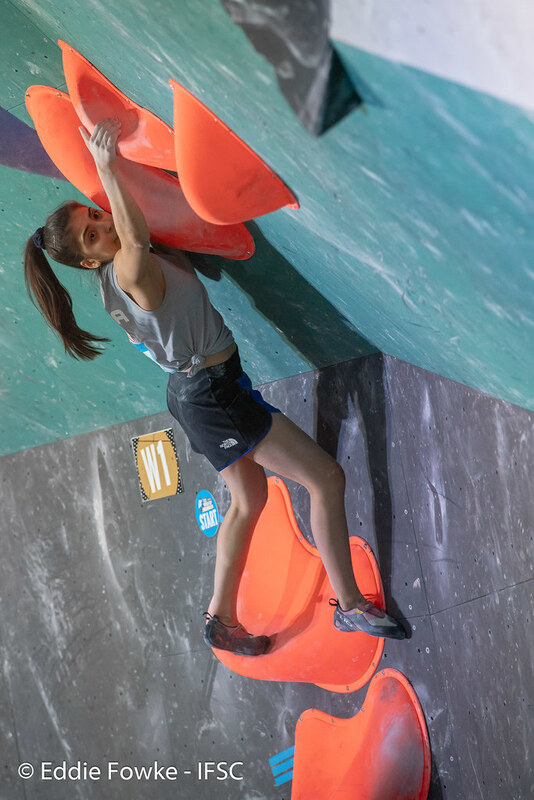 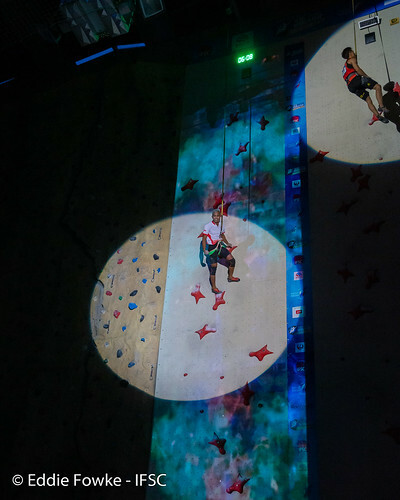 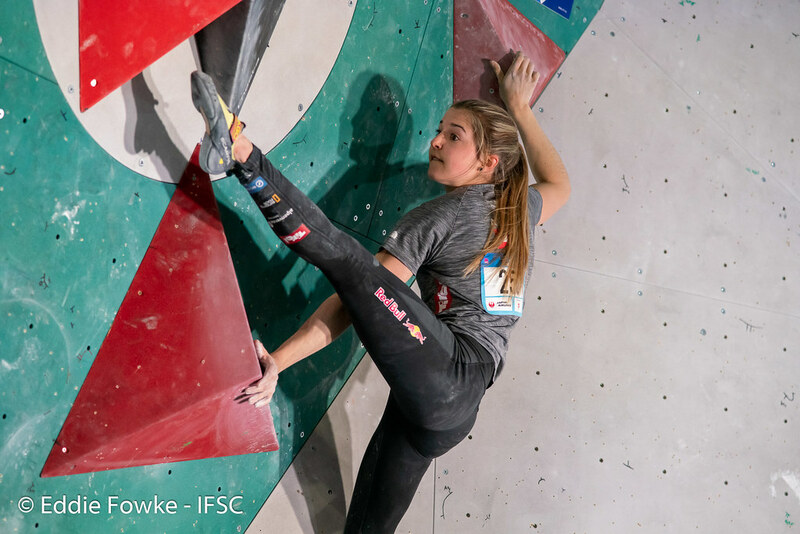 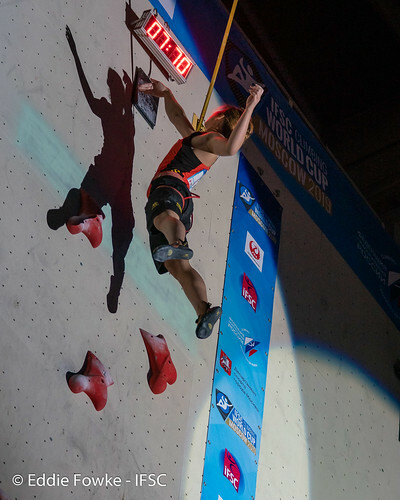 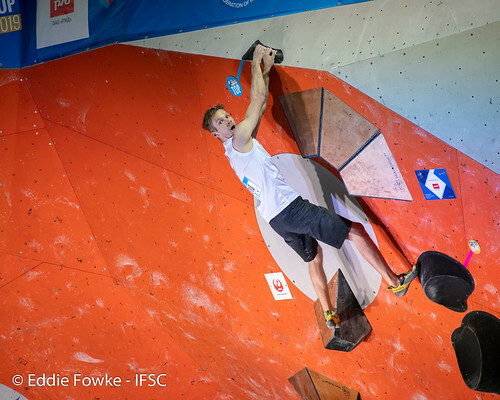 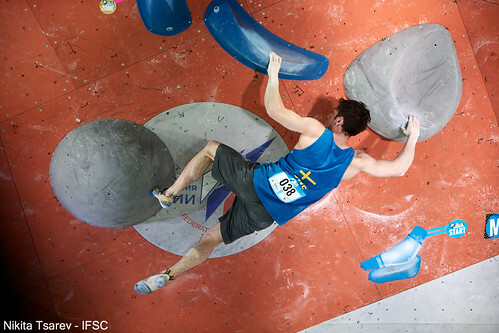 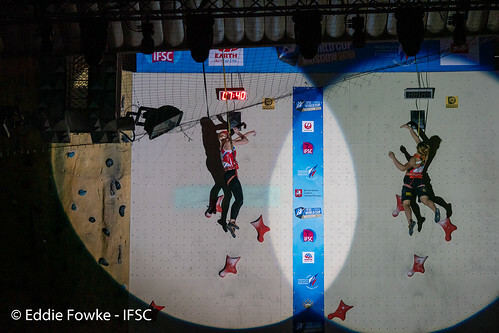 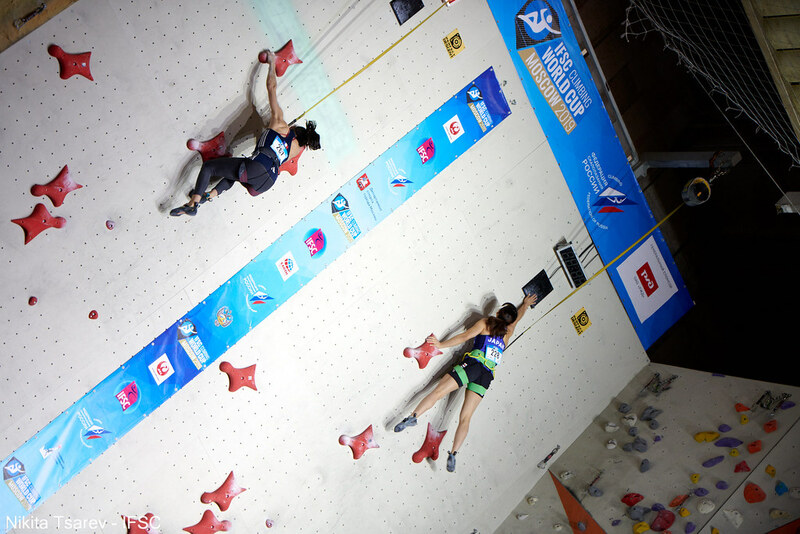 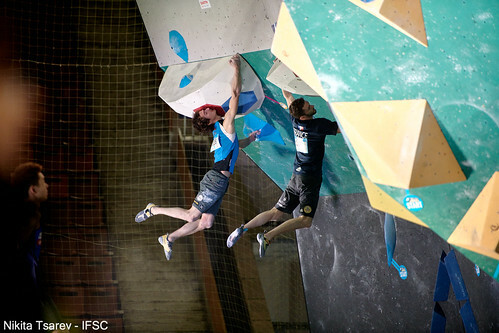 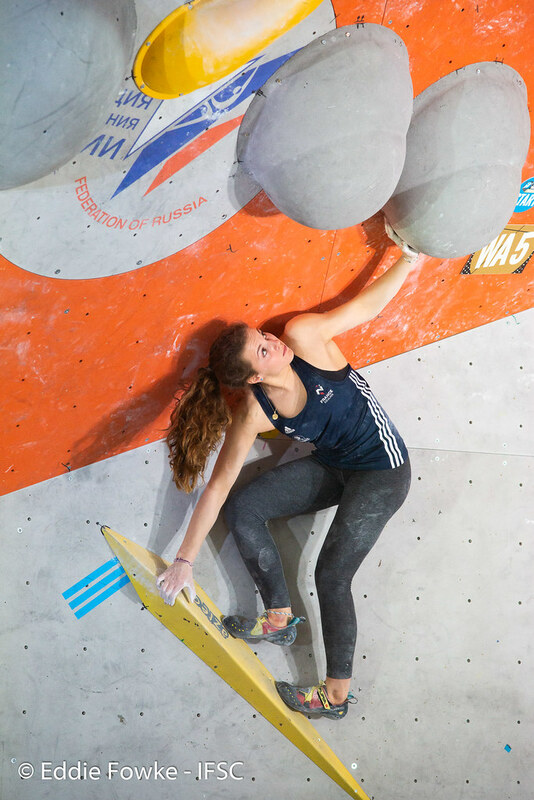 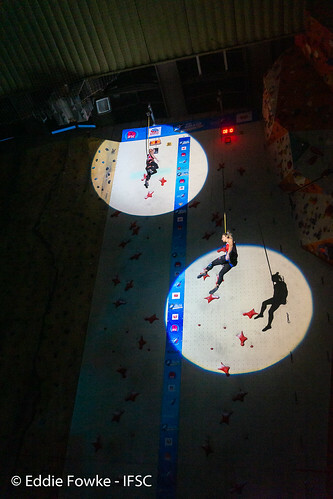 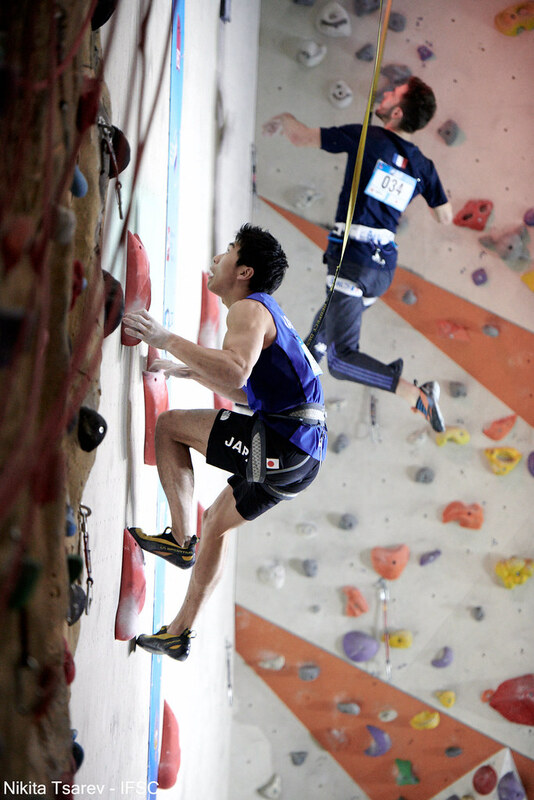 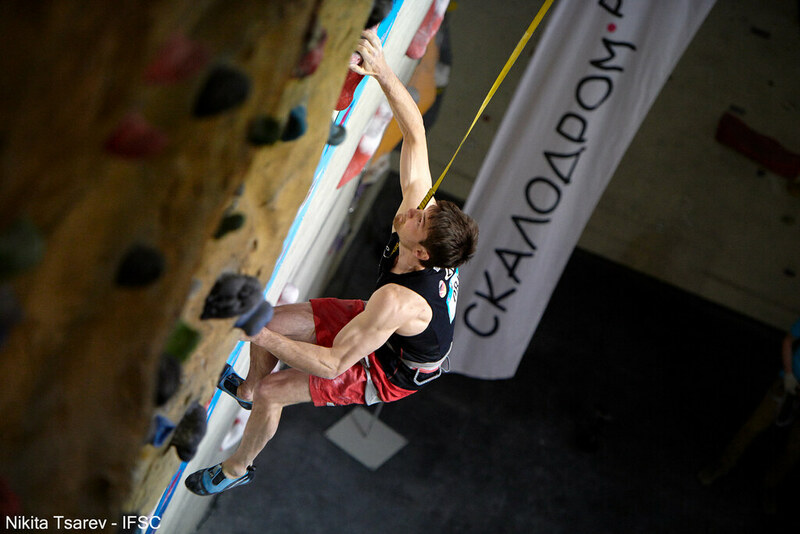 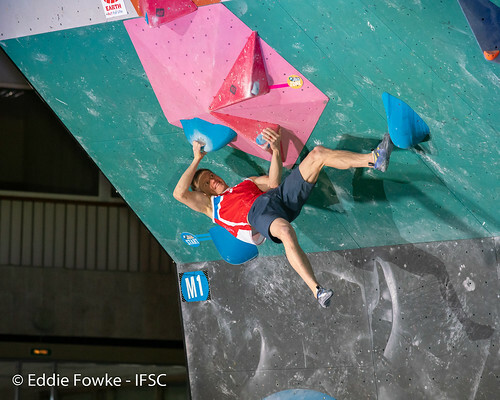 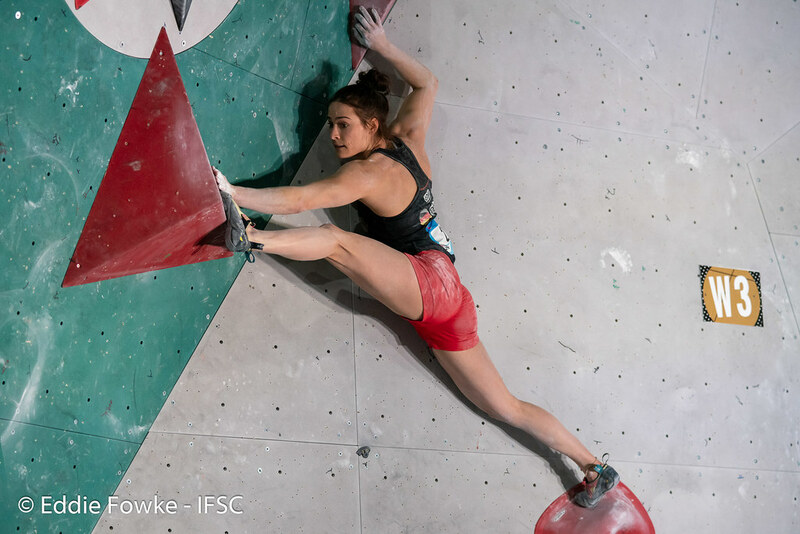 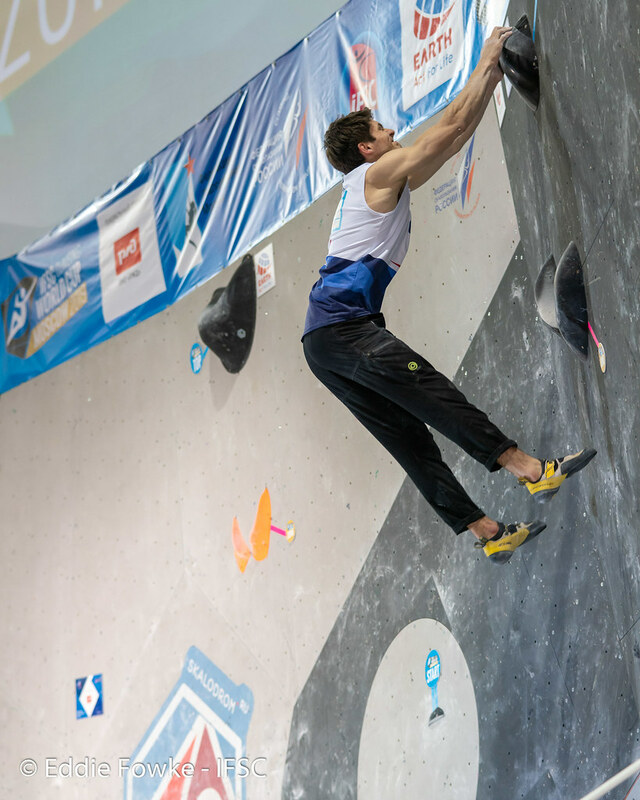 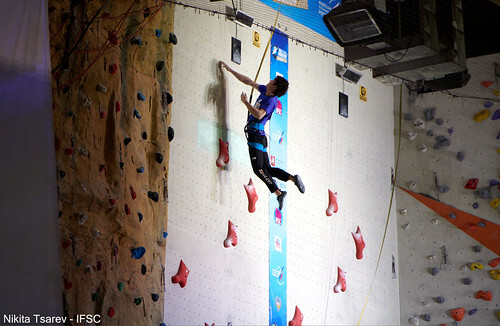 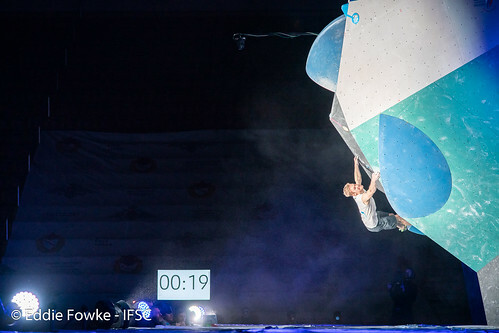 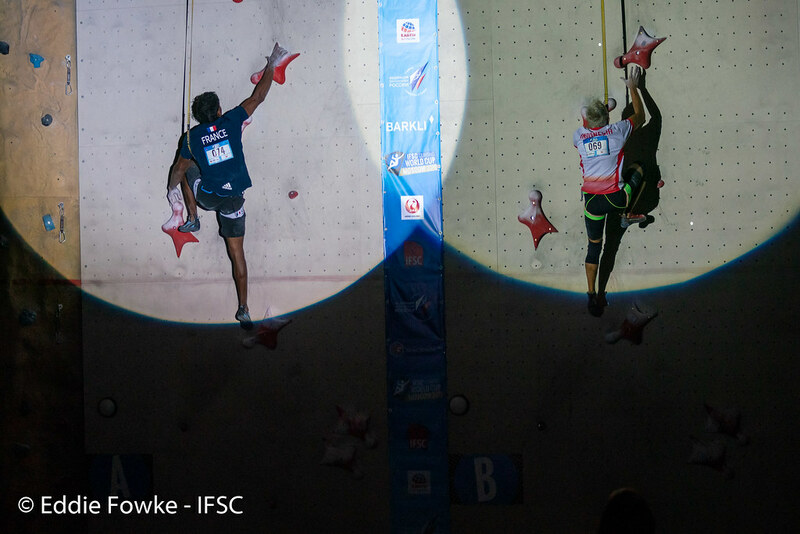 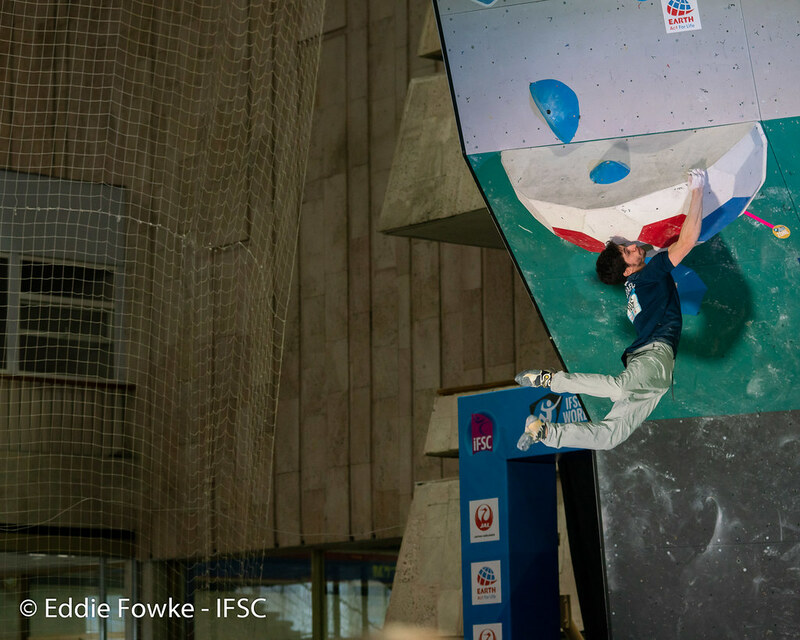 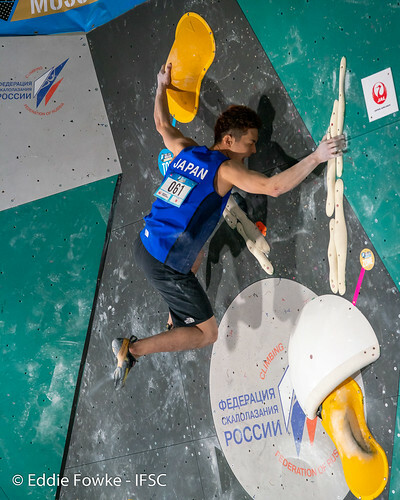 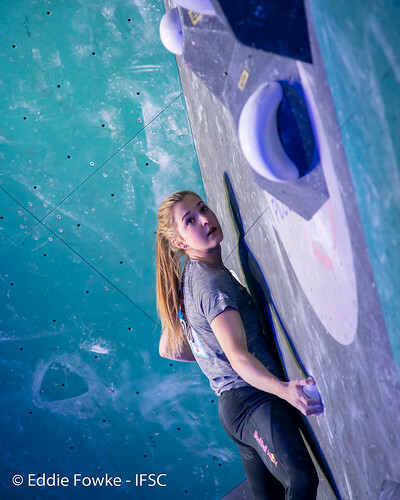 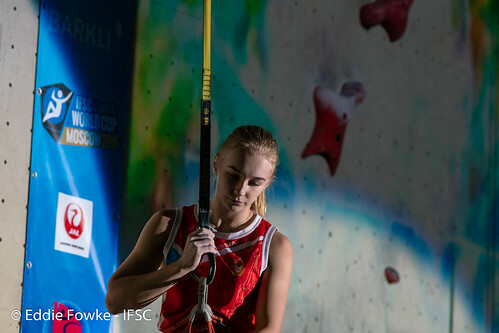 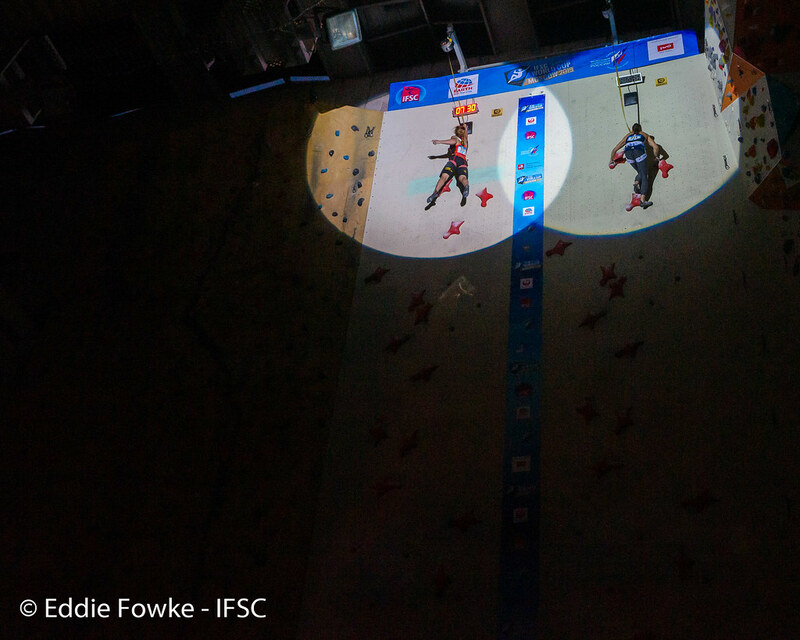 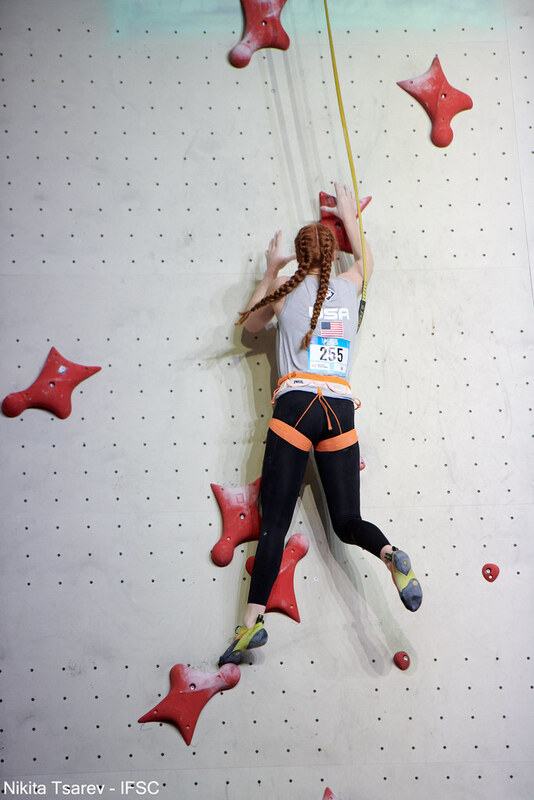 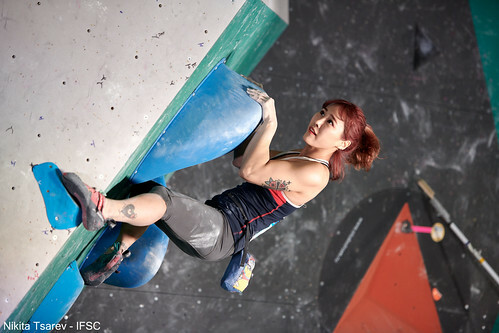 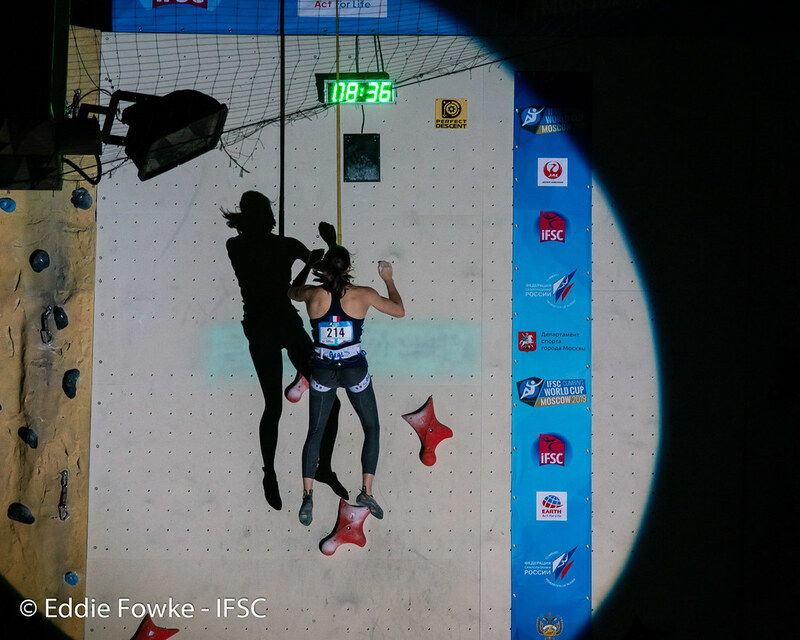 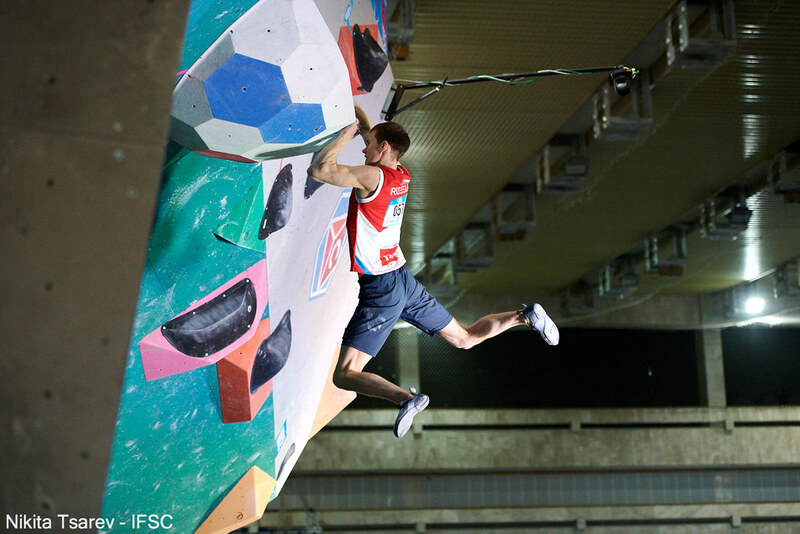 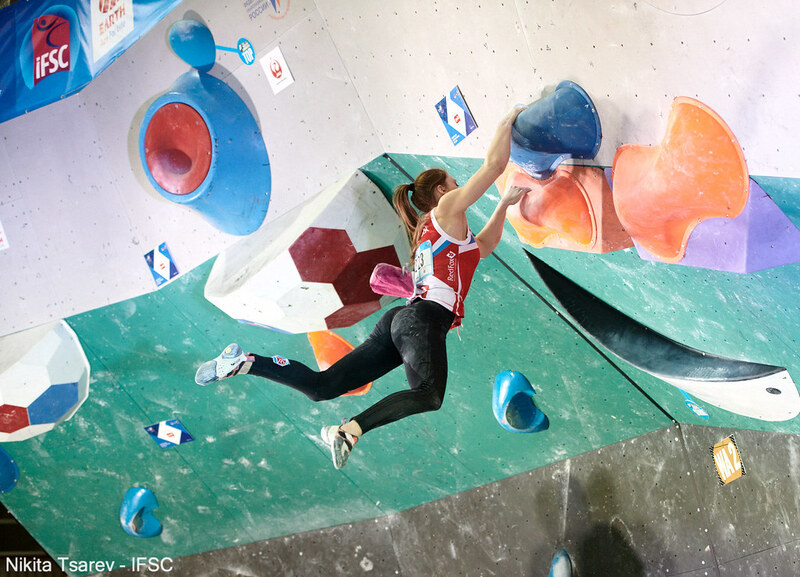 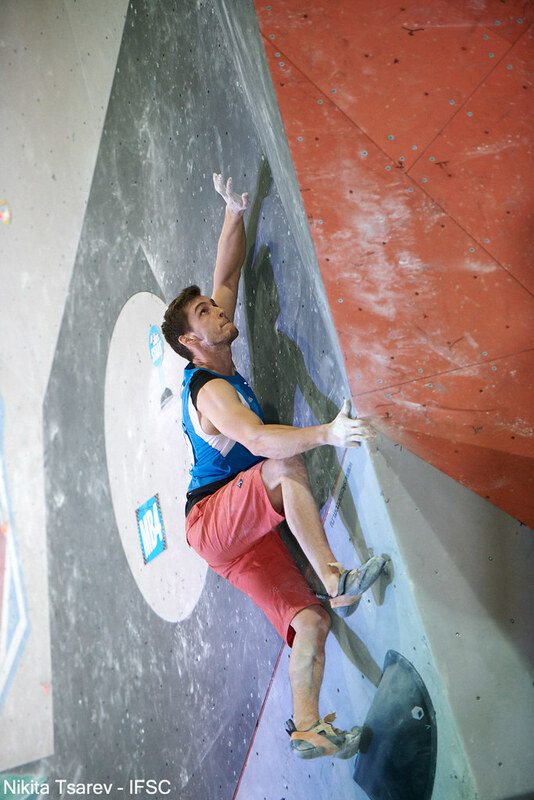 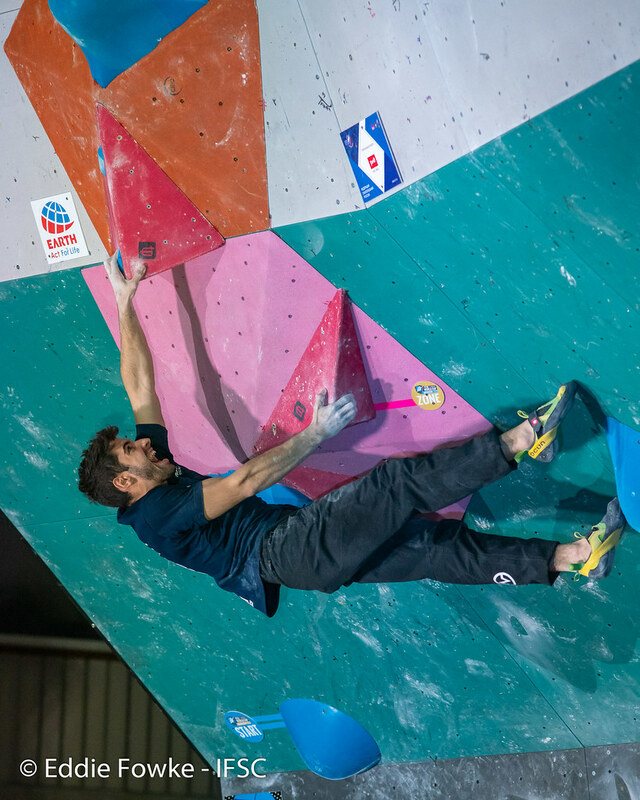 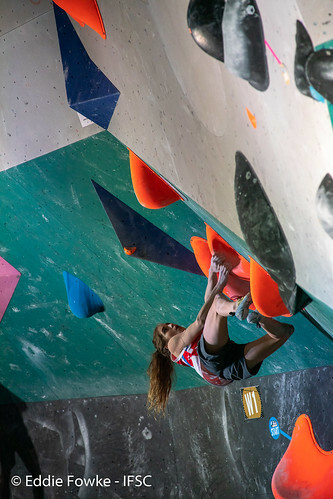 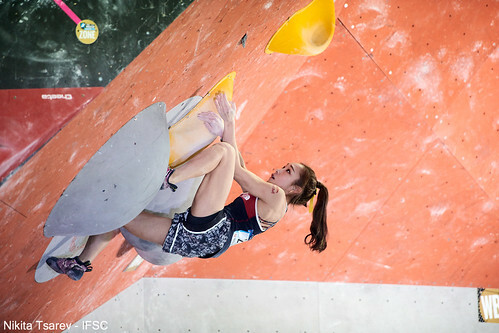 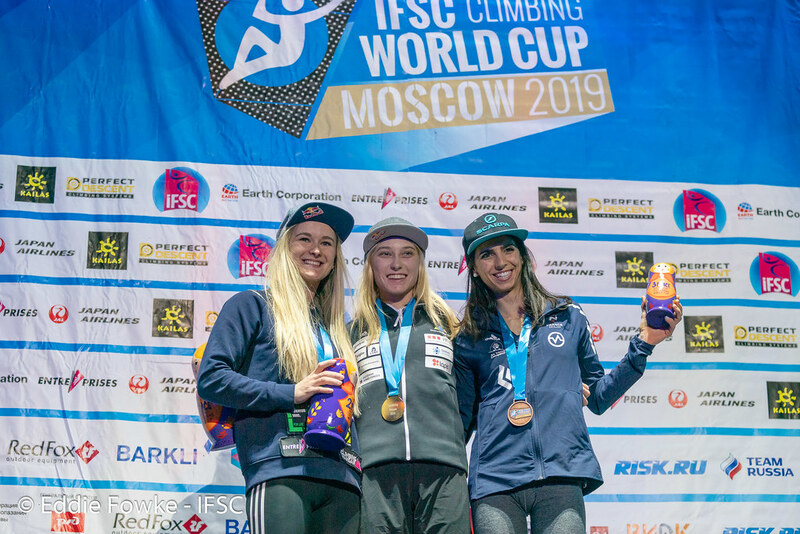 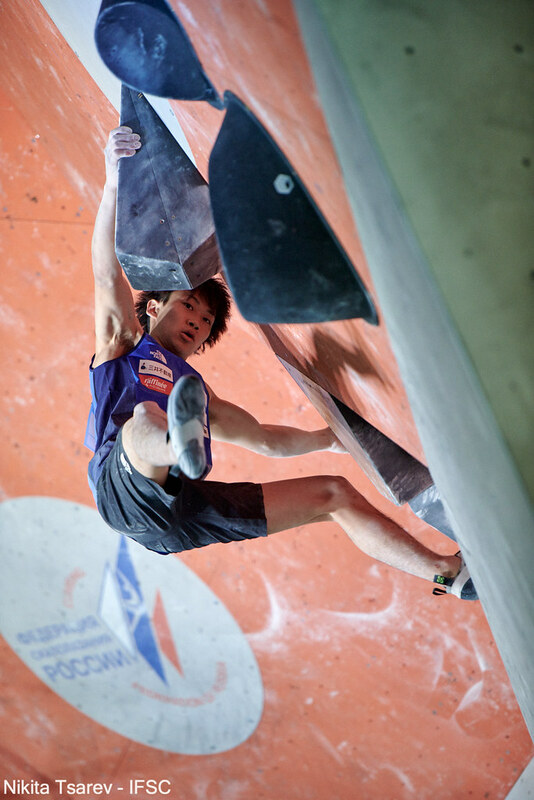 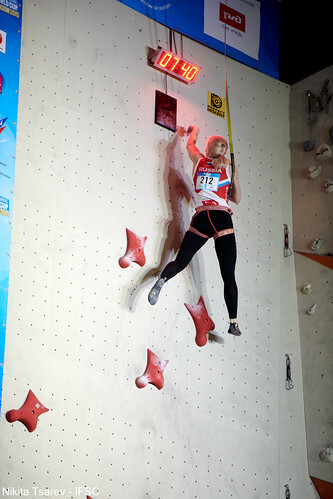 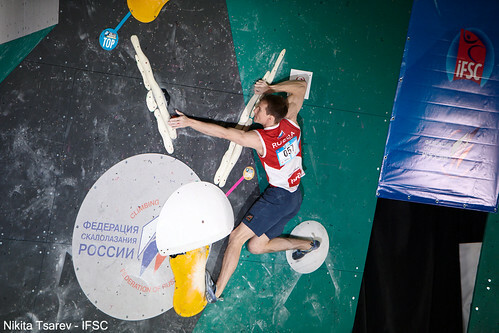 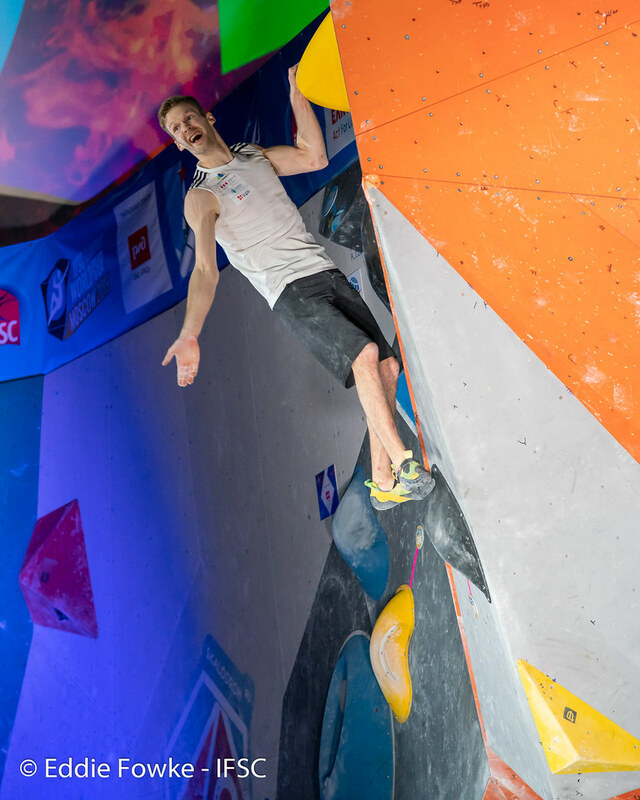 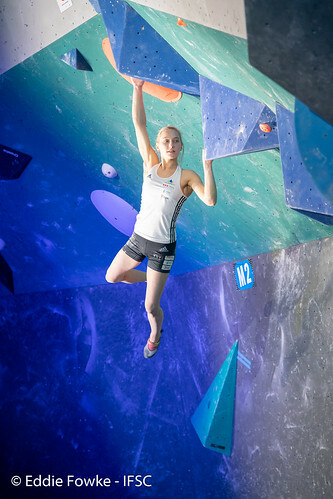 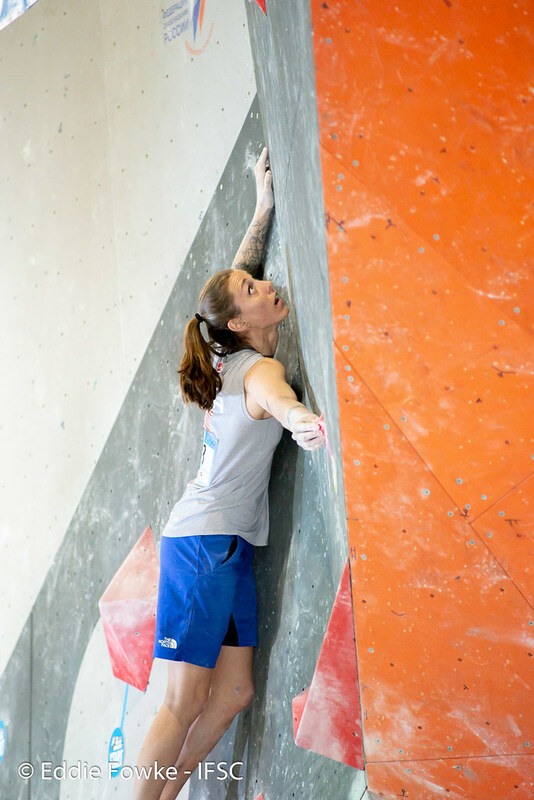 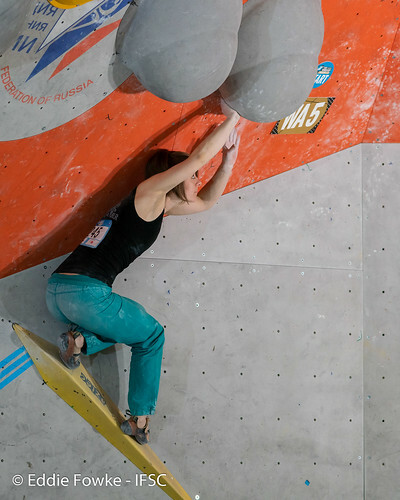 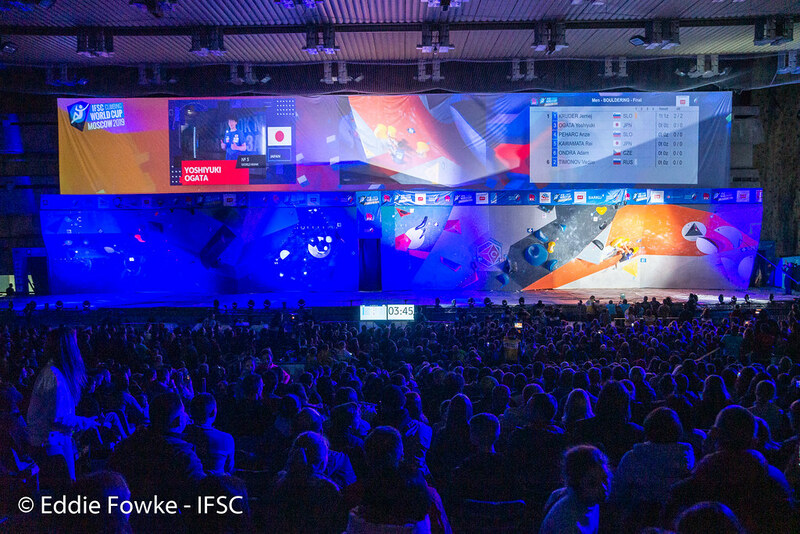 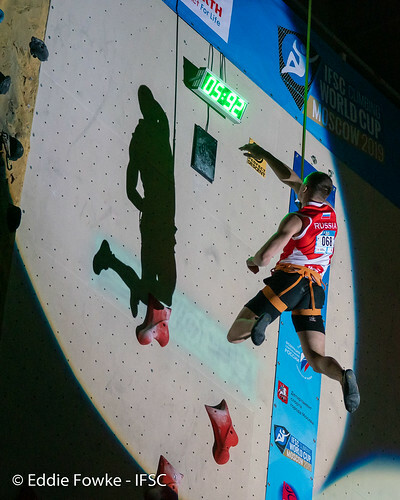 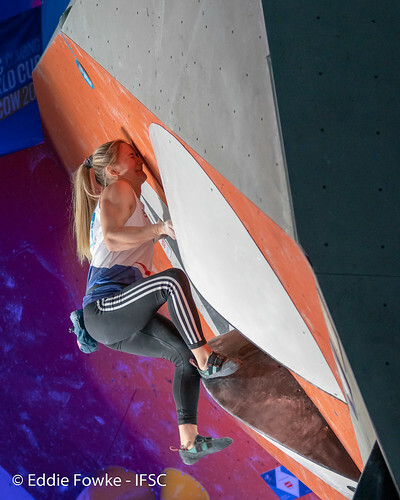 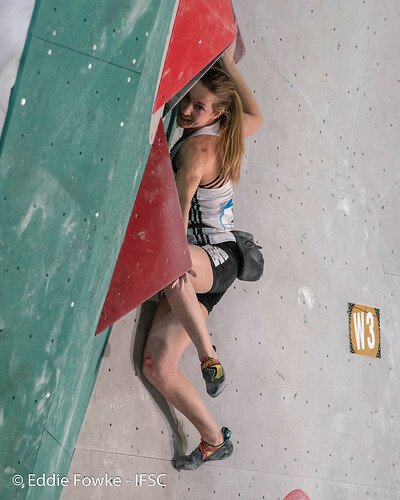 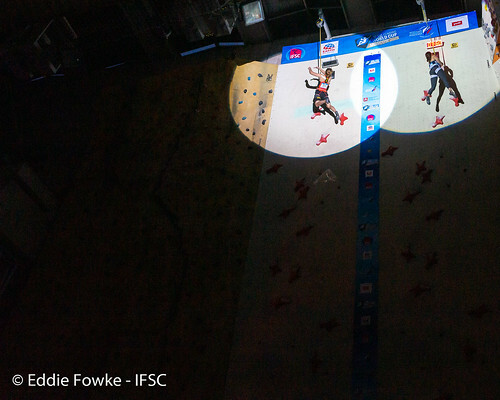 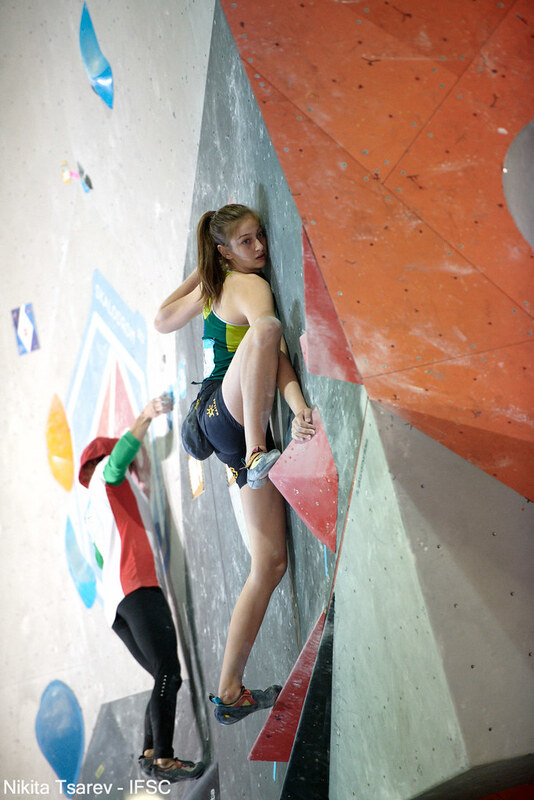 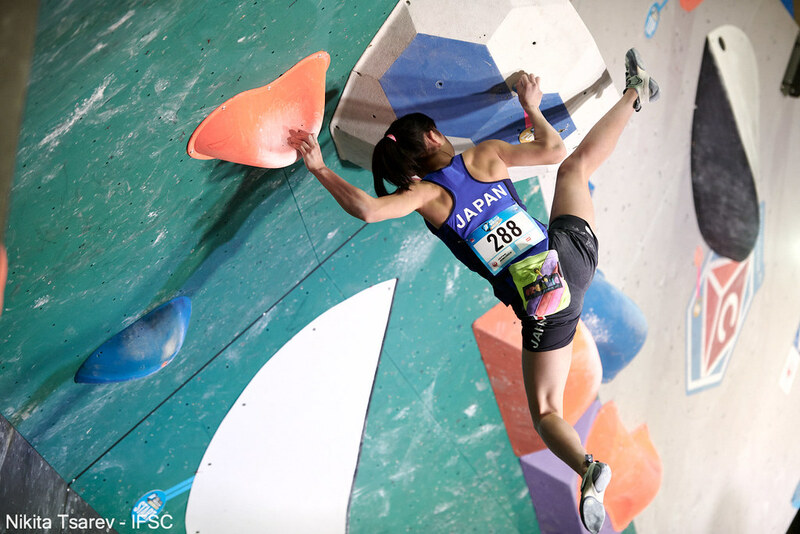 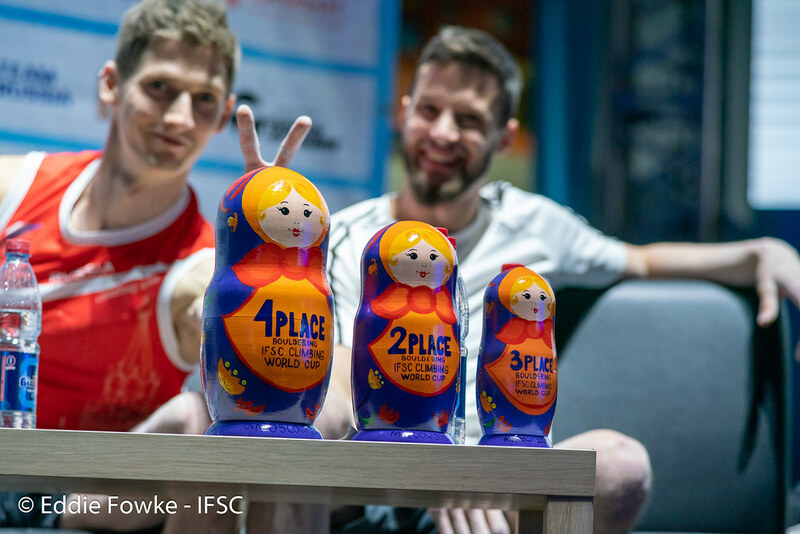 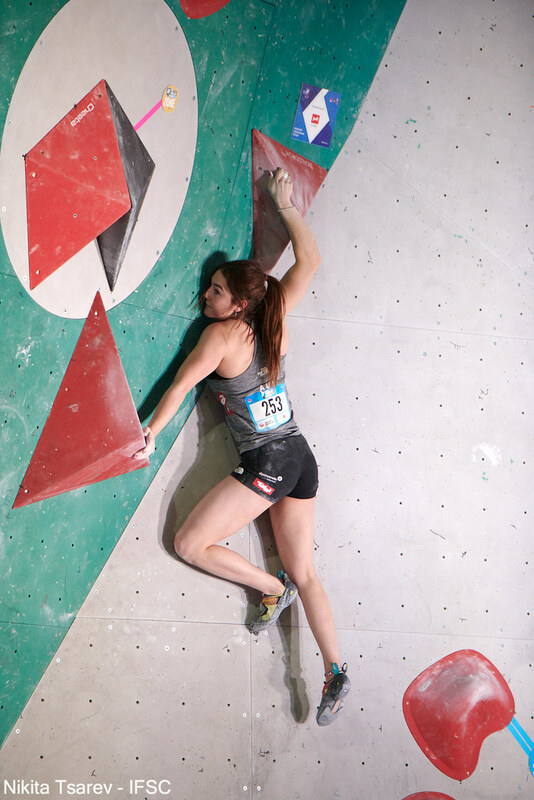 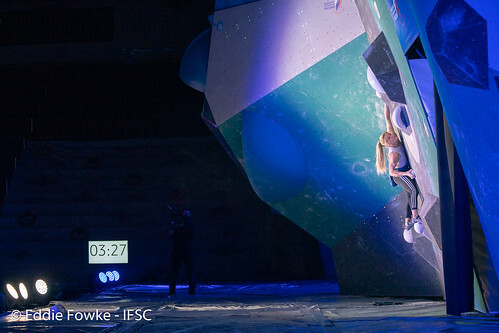 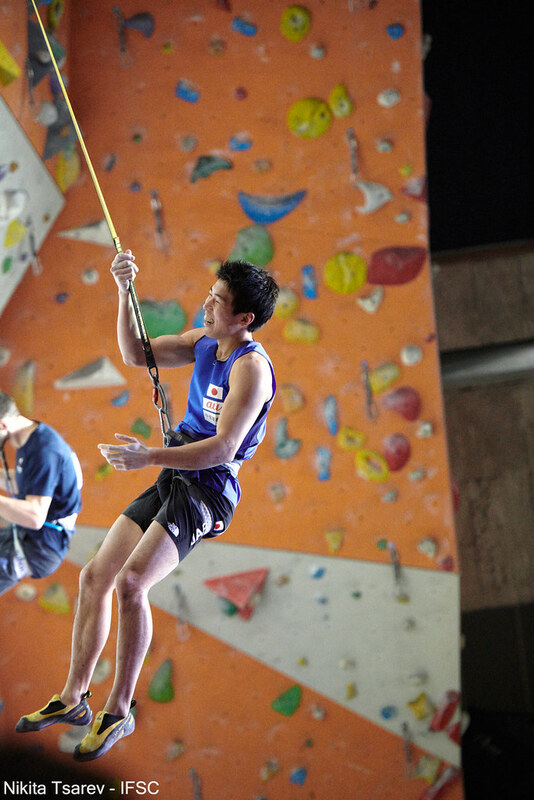 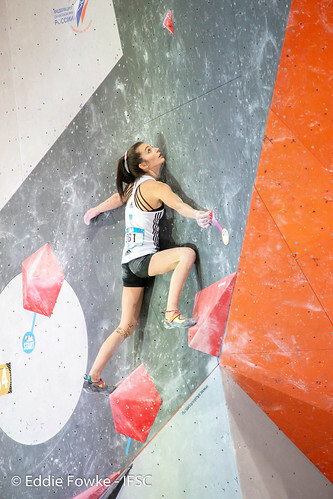 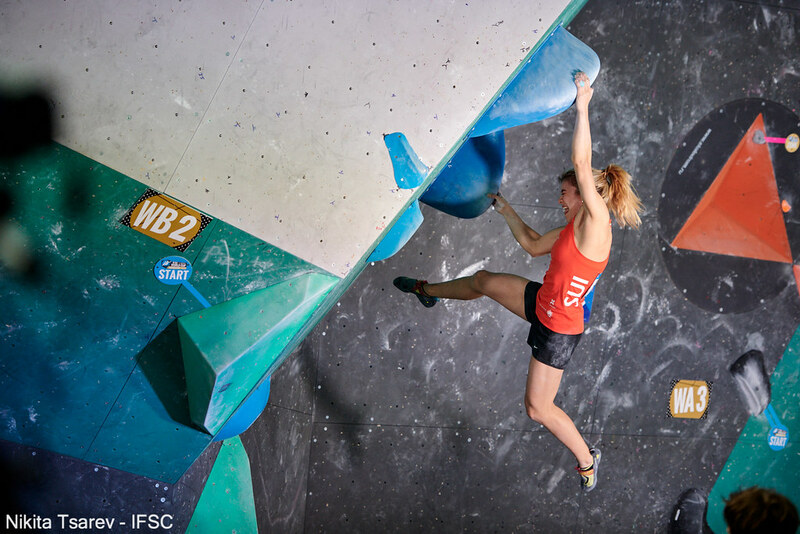 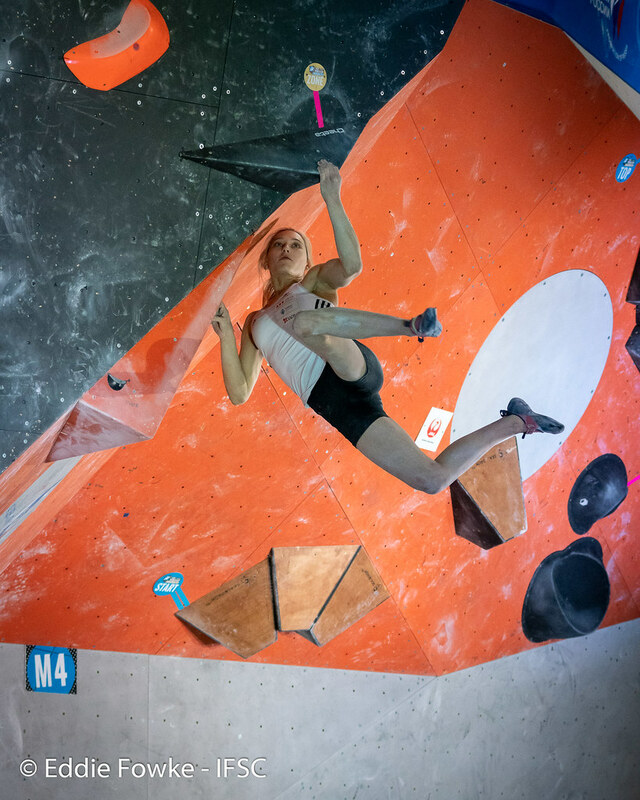 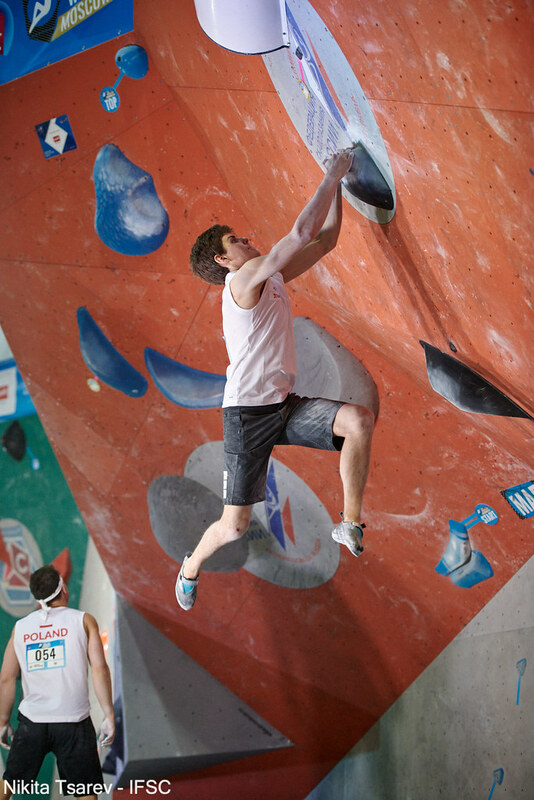 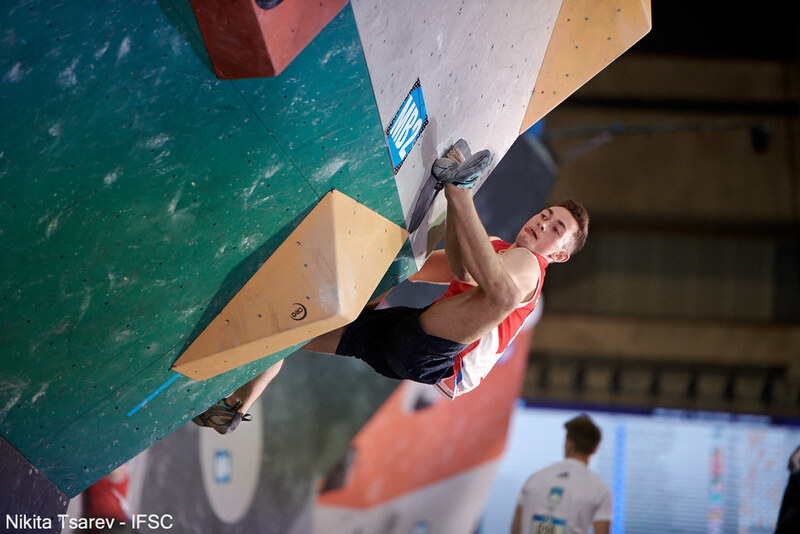 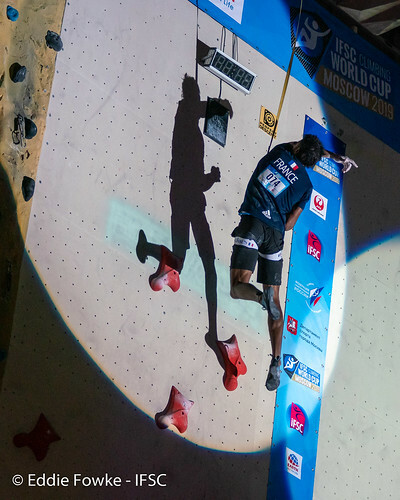 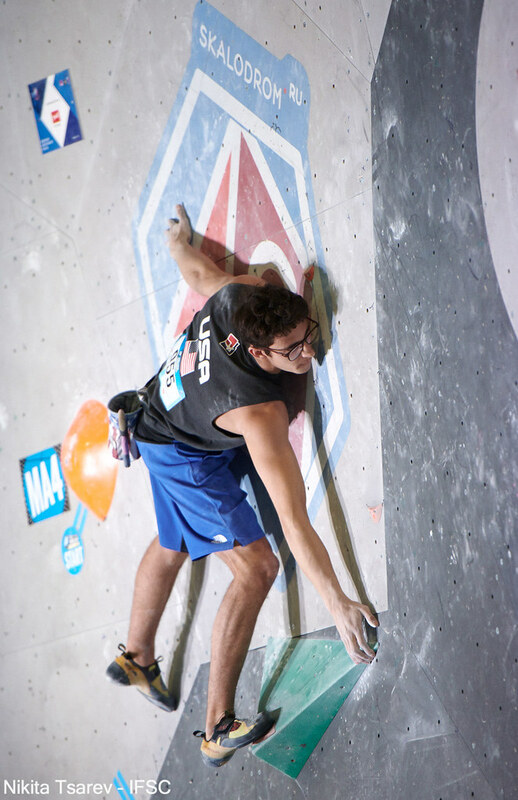 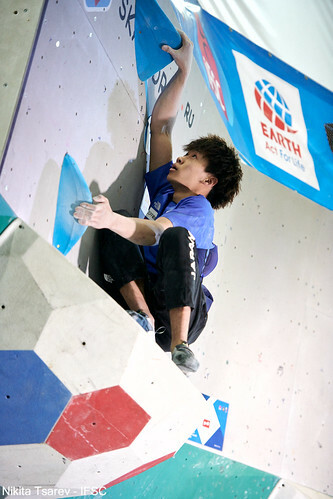 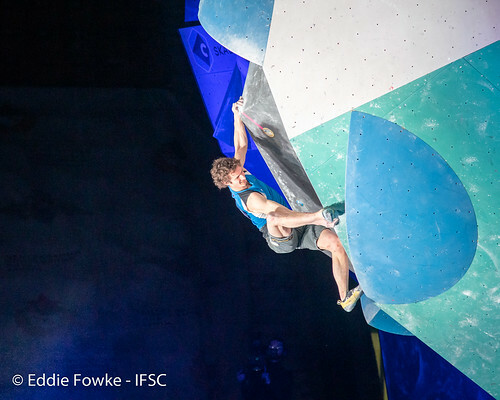 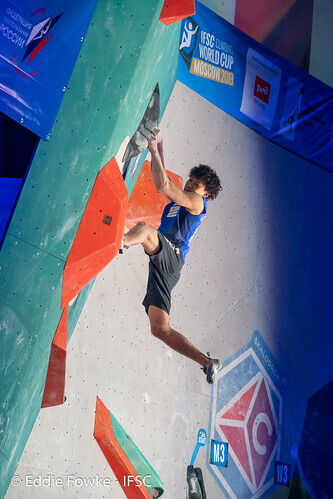 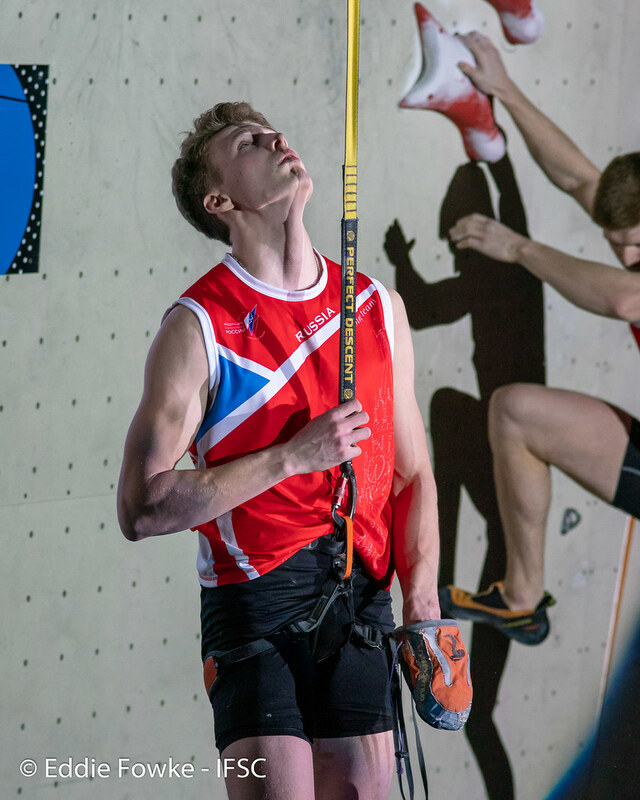 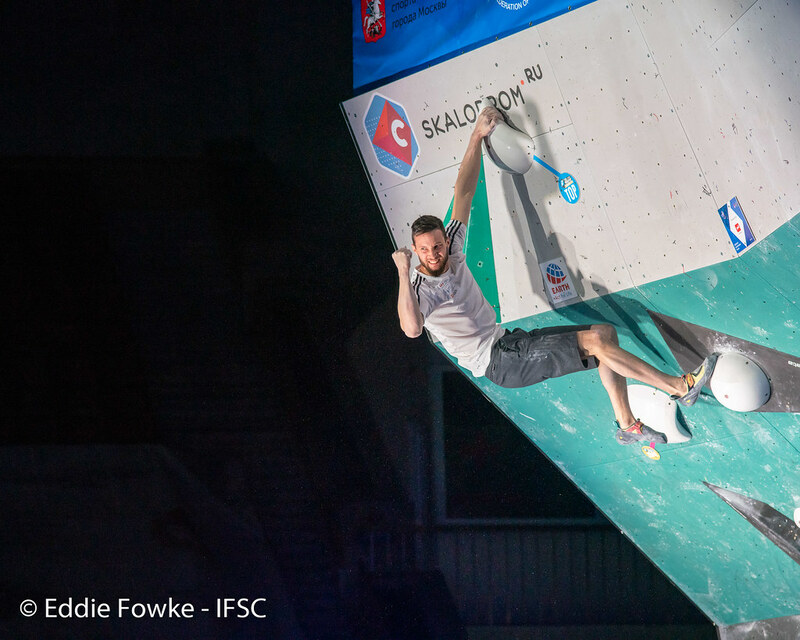 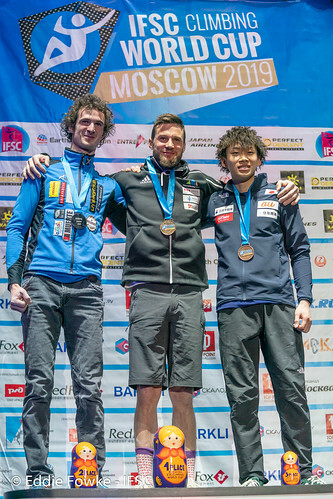 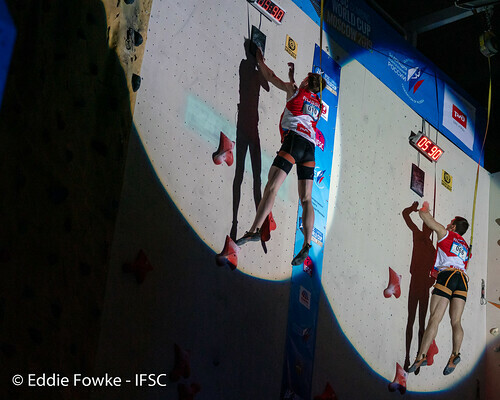 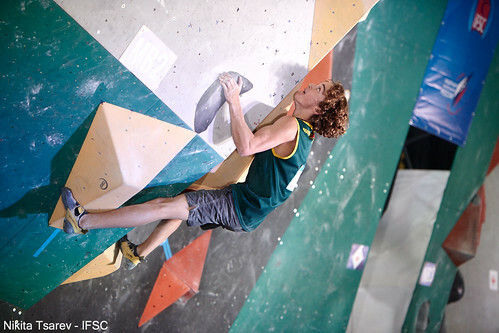 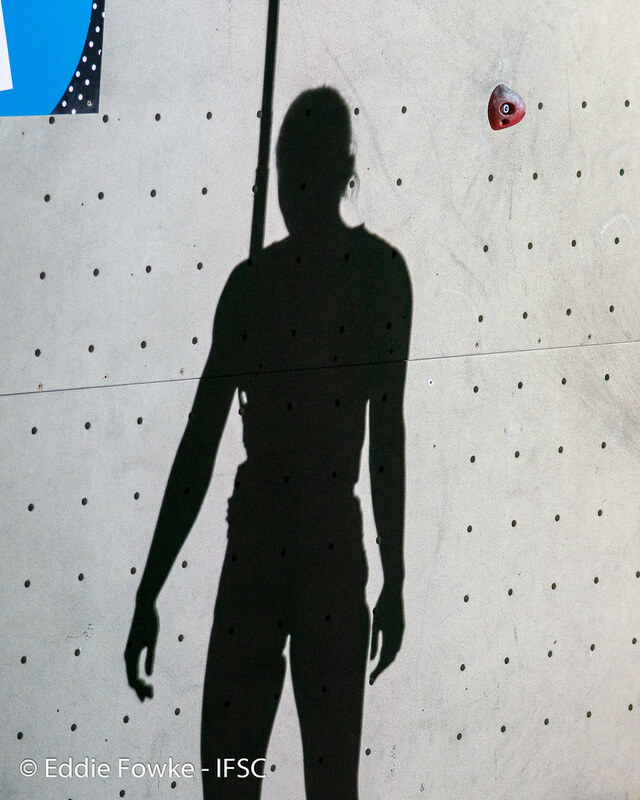 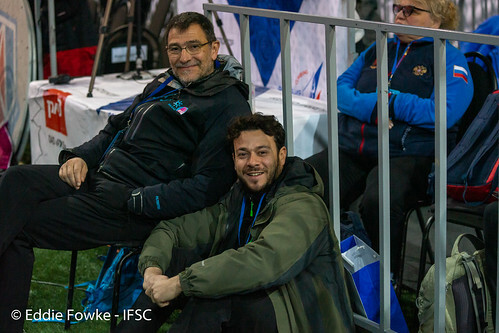 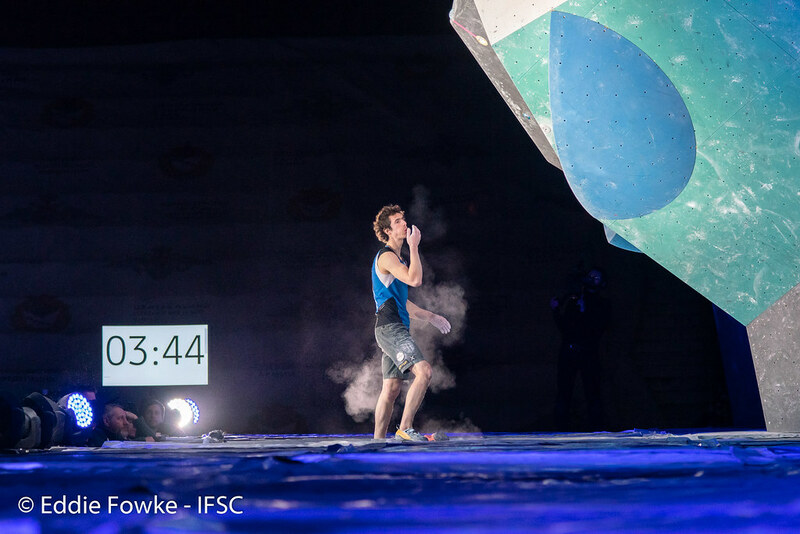 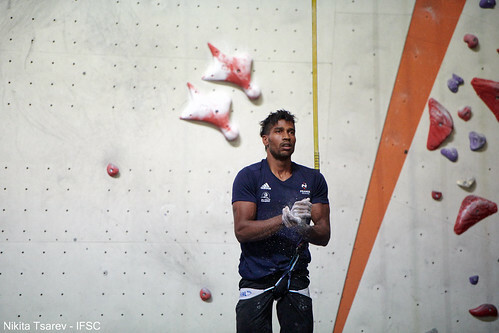 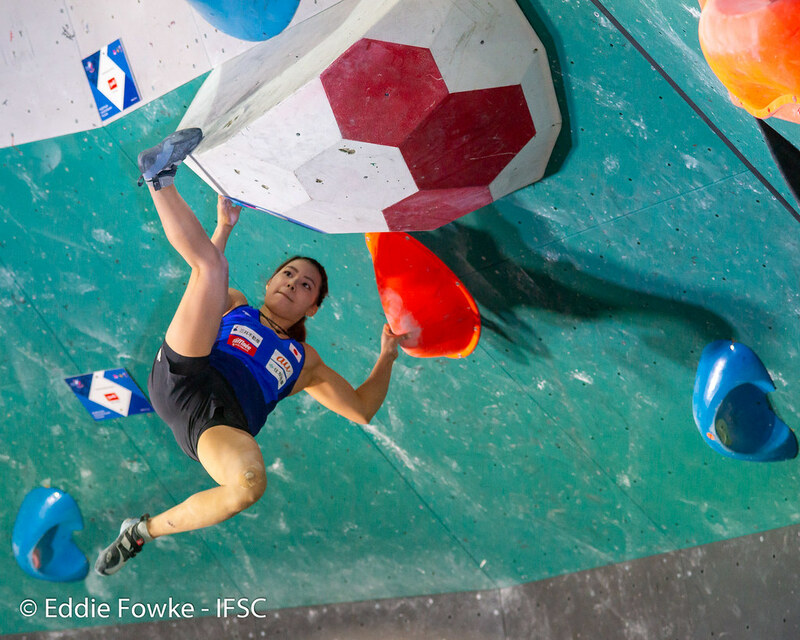 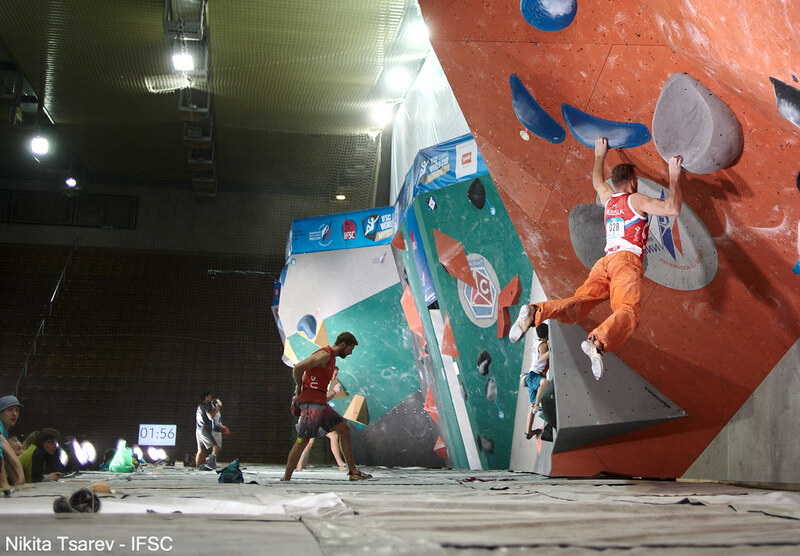 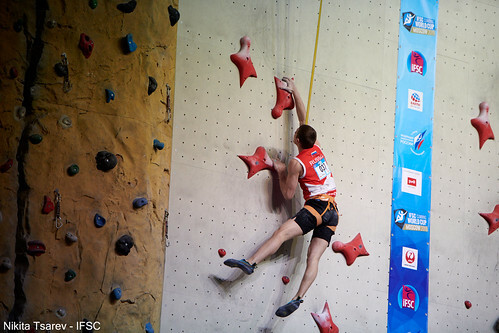 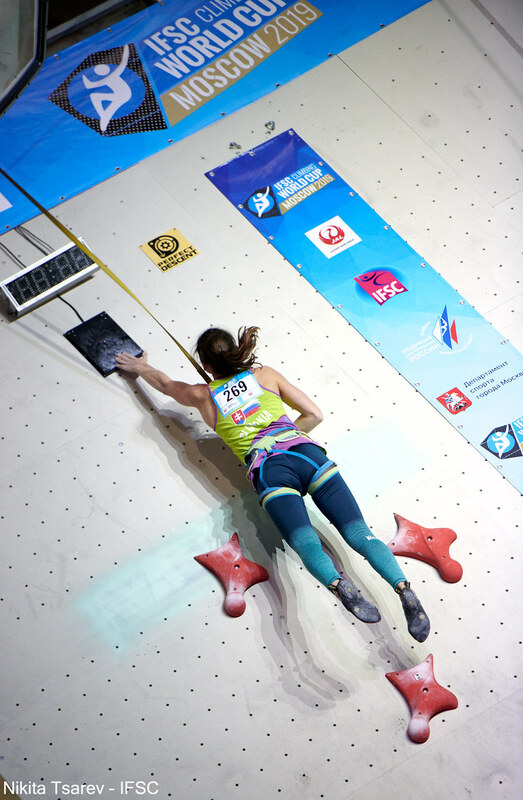 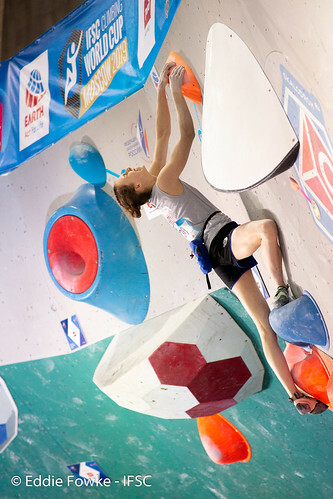 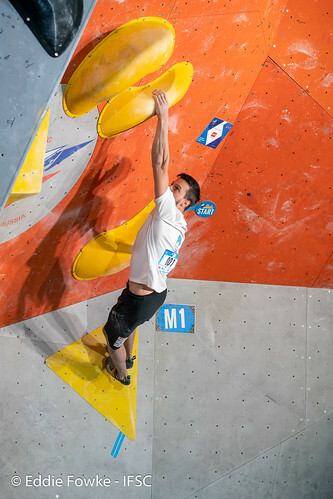 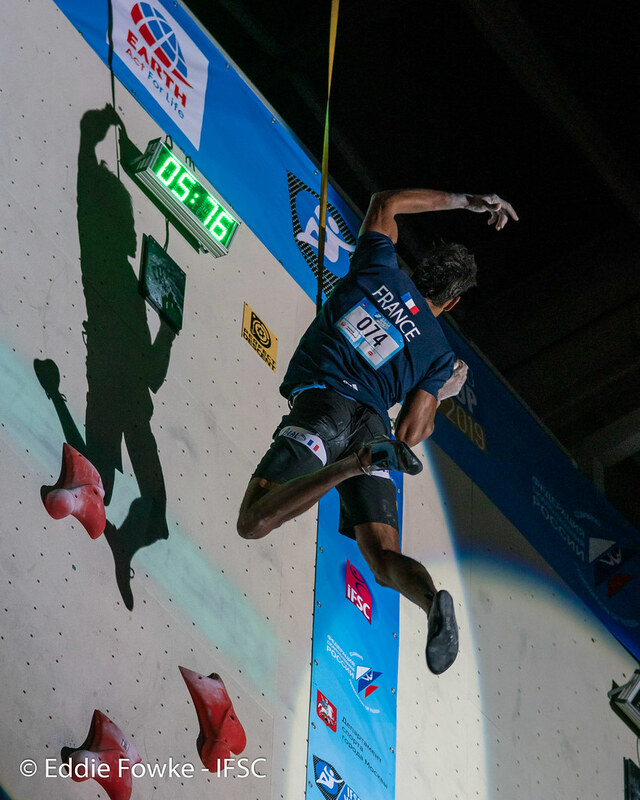 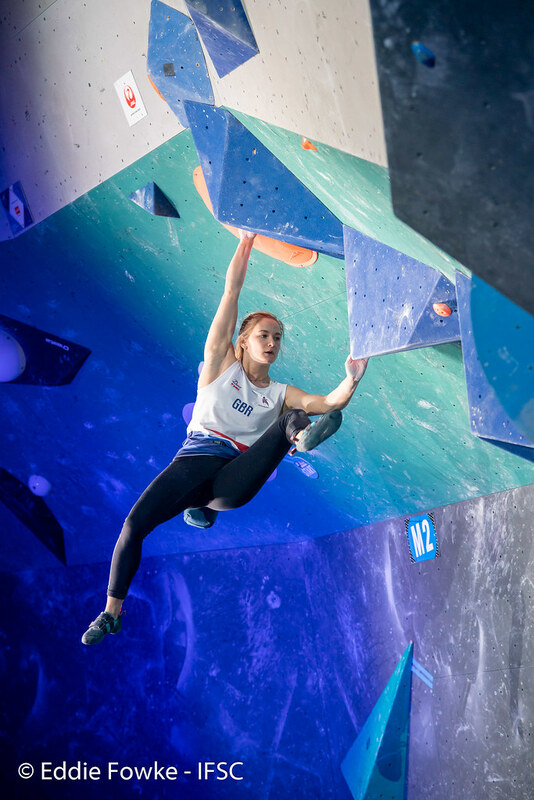 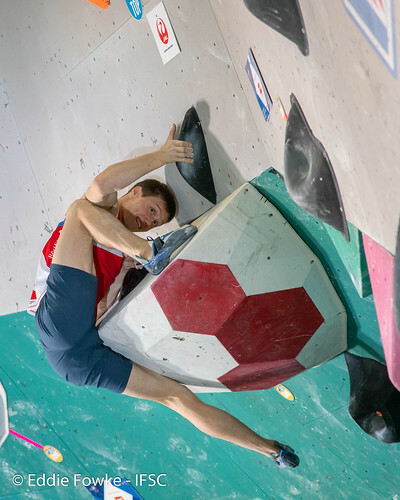 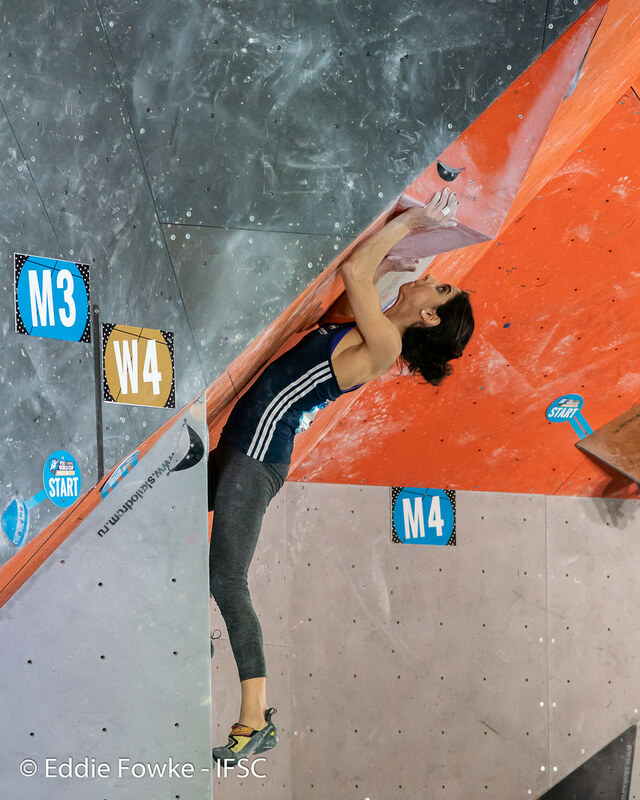 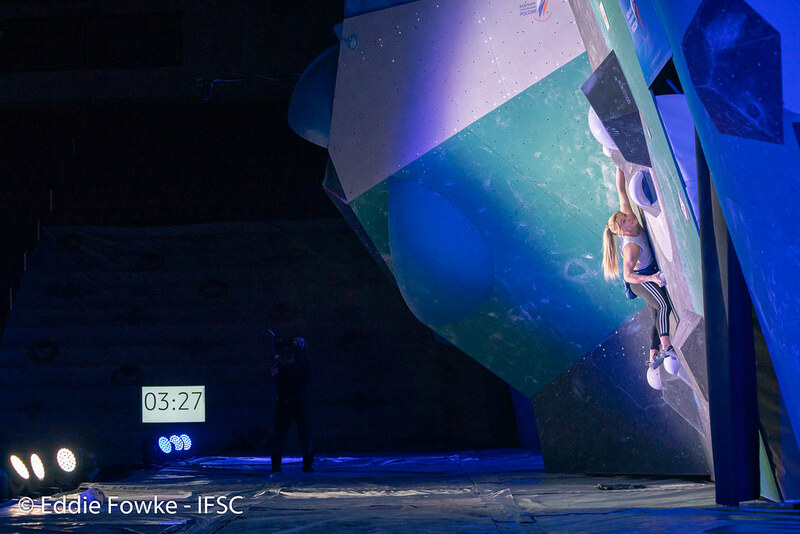 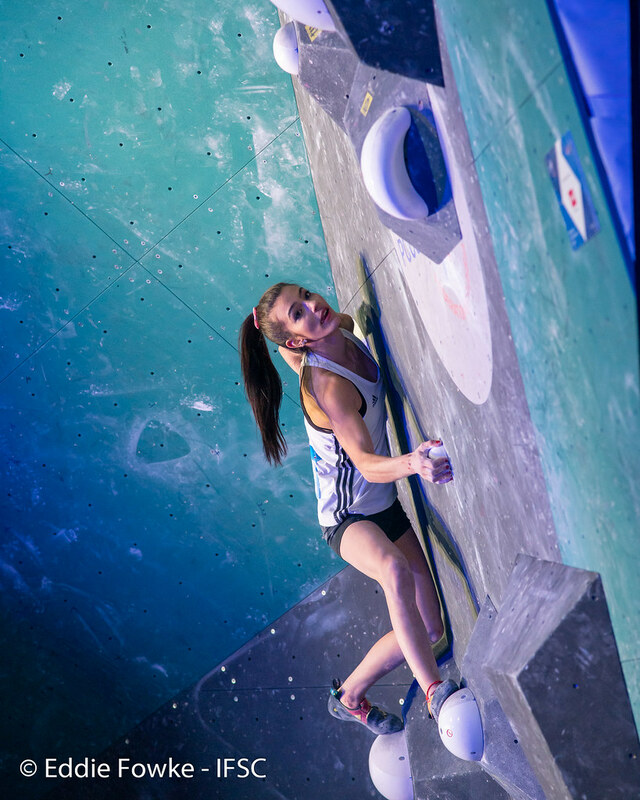 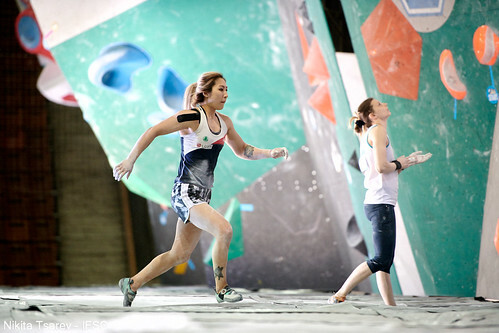 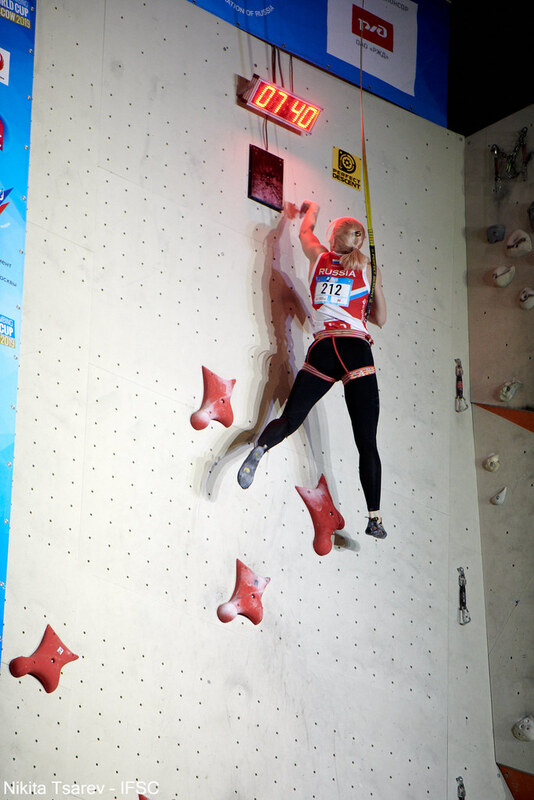 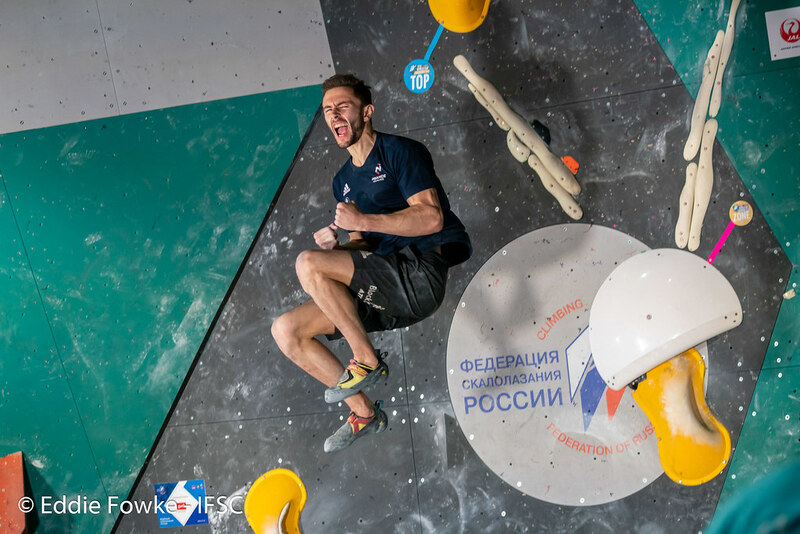 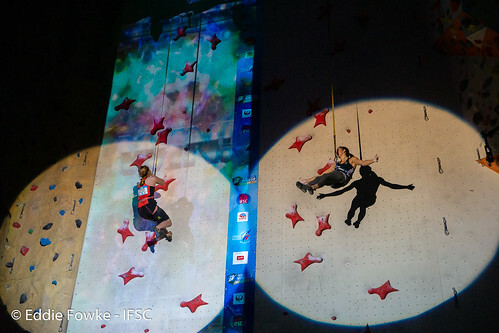 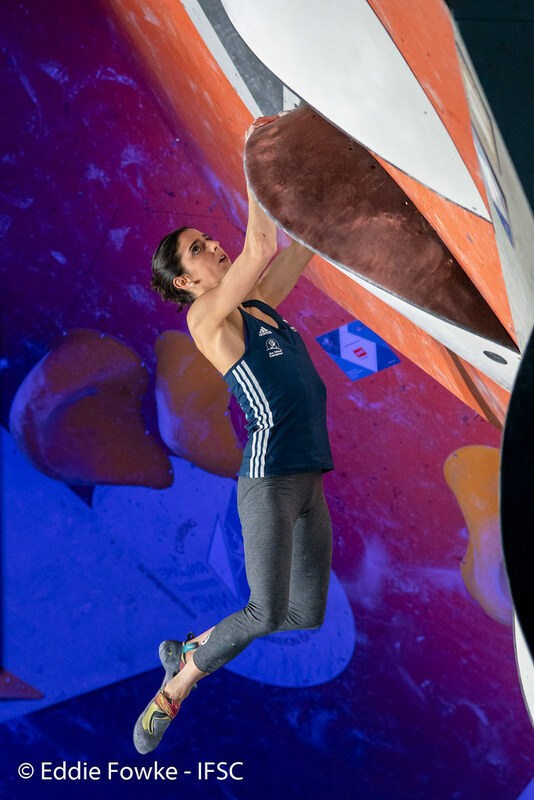 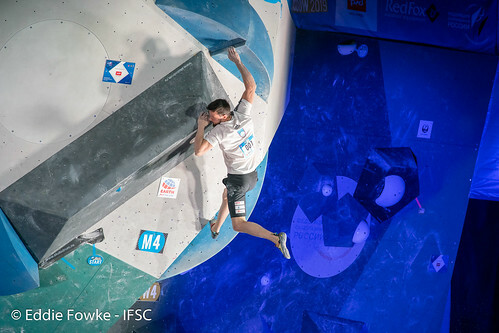 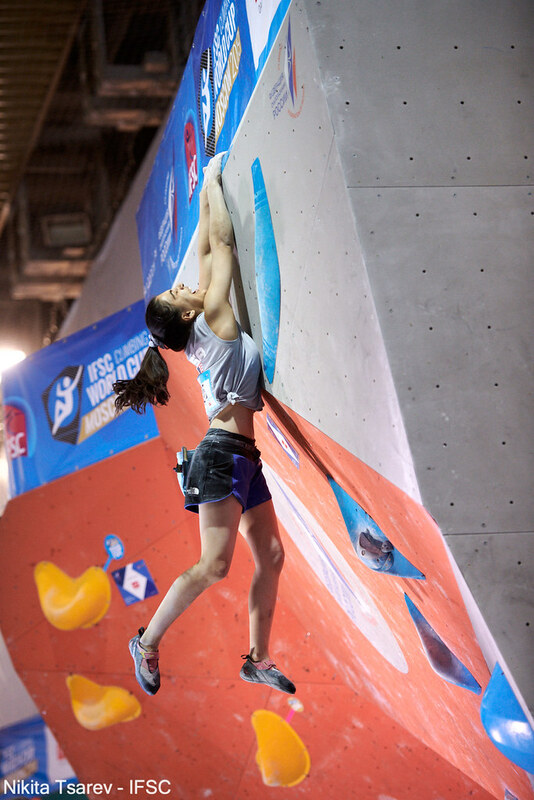 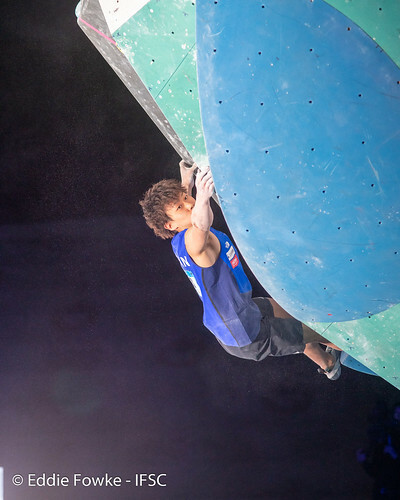 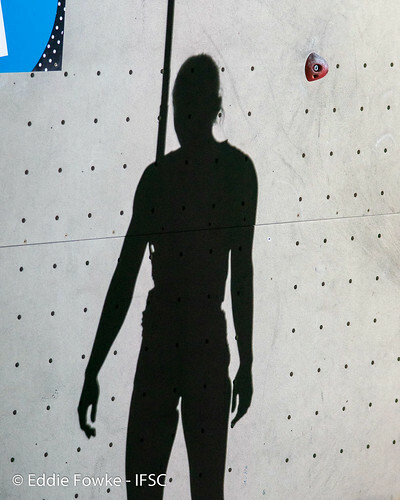 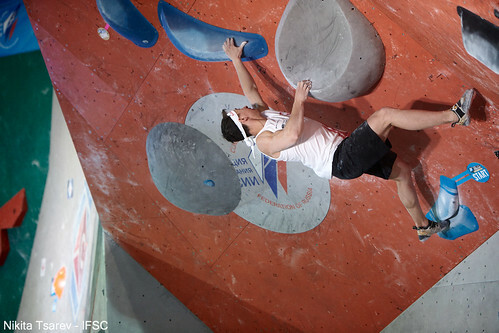 The past 3 days Moscow has been the capital of Sport Climbing, hosting the 1st IFSC Speed World Cup for the 2019 season and the 2nd stage of the IFSC Bouldering World Cup following last week-end’s performances in Meiringen. 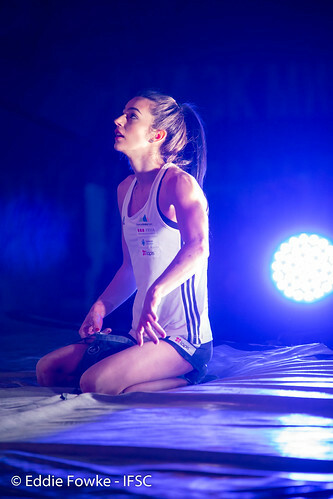 In the impressive venue of Moscow, 450 athletes competed head to head demonstrating their speed and their strength. 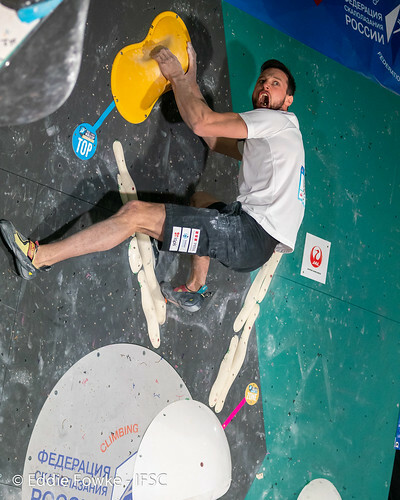 2018 Overall Speed World Cup Winner, Bassa MAWEN started off very strong against Gian Luca ZODDA with a quick win with a time of 5.79. 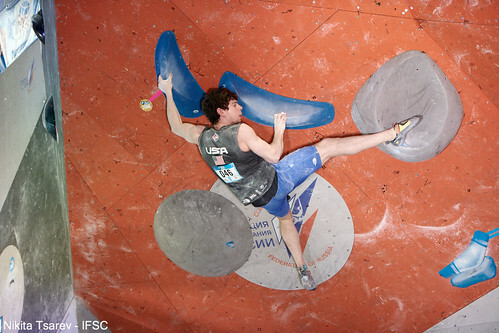 This impressive first round finish stayed with him as he advanced throughout the competition with no slips or delays. 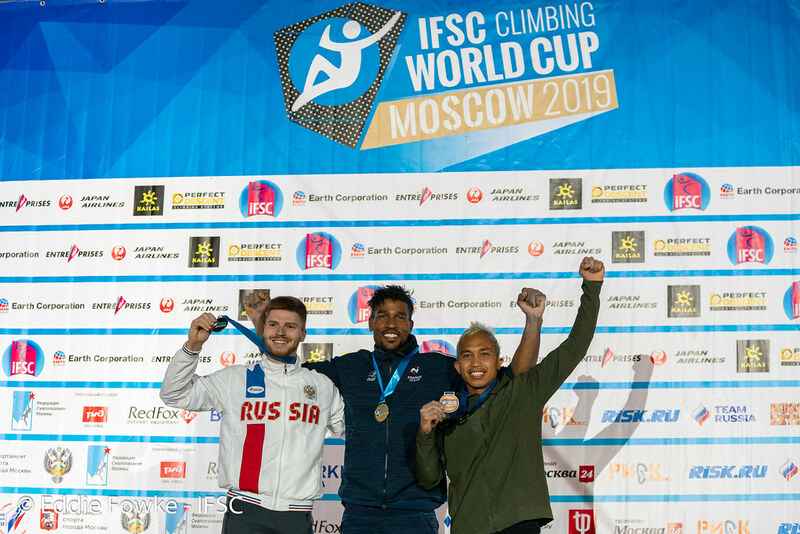 This striking performance and constancy landed him with the fastest time both in the qualifying rounds and eventually with a Gold medal, leaving the Moscow local Vladislav DEULIN falling off the wall and finishing with the silver medal. 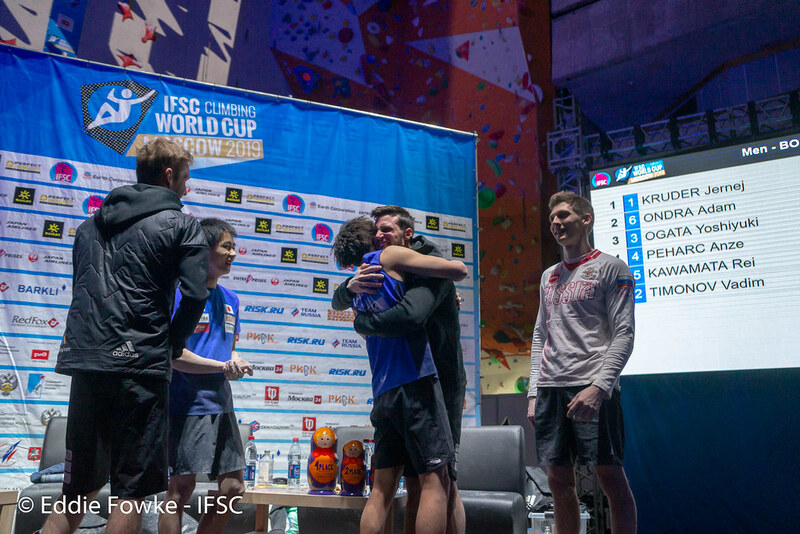 Bronze then went to Aspar JAELOLO who fell off the wall during the ½ final against MAWEN, but who regathered himself and had an easy win against Long Cao, who had two slips in his final round. The women’s rounds were equally as powerful and surprising, especially from the Russian team. 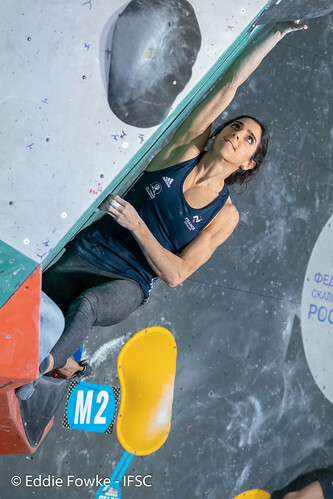 Starting off the competition we saw an early heartbreak from Mariia KRASAVINA, who normally makes the final 4, fall to her comrade, Elizaveta IVANOVA. 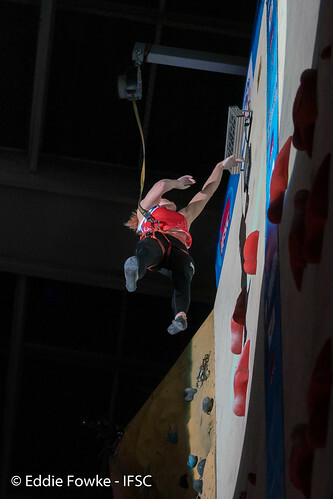 With an early slip by KRASAVINA, Ivanova took advantage of the situation moving onto the second round. 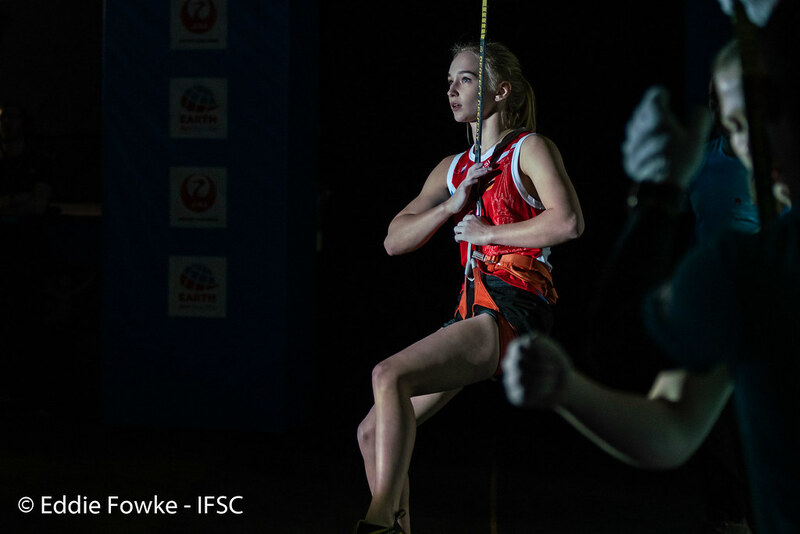 This was short lived unfortunately being beat out by another teammate, Iuliia KAPLINA, who currently shares the world record of 7.32 seconds. Even with her impressive record and the support of the entire venue behind her, she also fell short to Y. 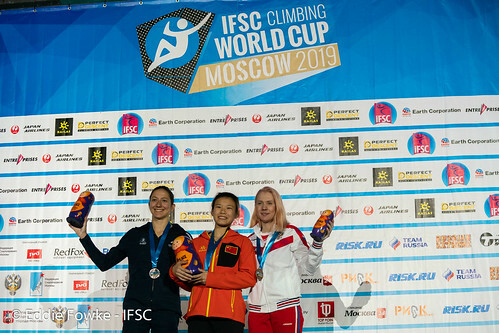 SONG, but managed to take Anna TSYGANOVA in the small finals, finishing with a bronze medal. 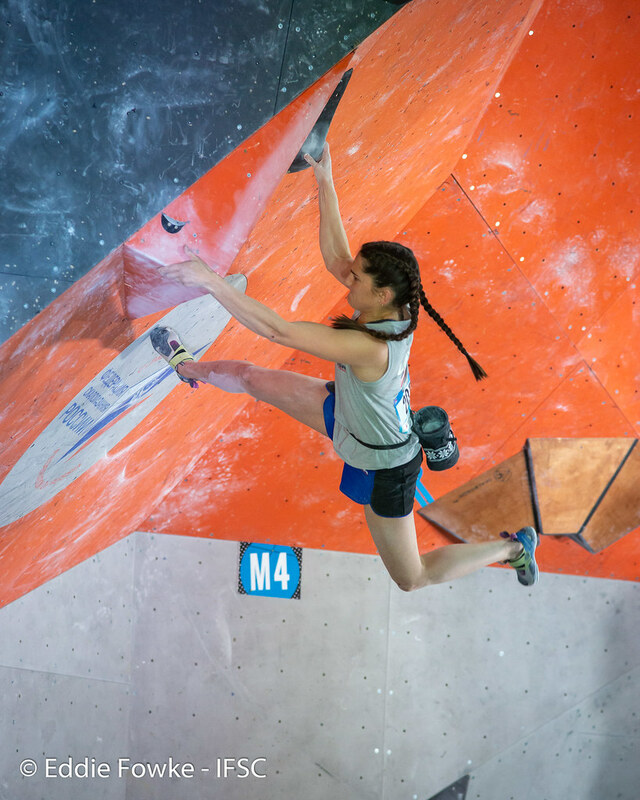 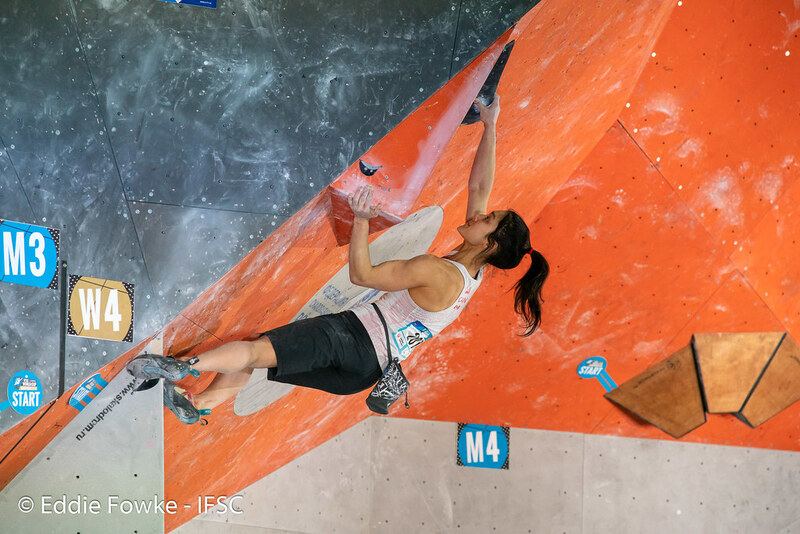 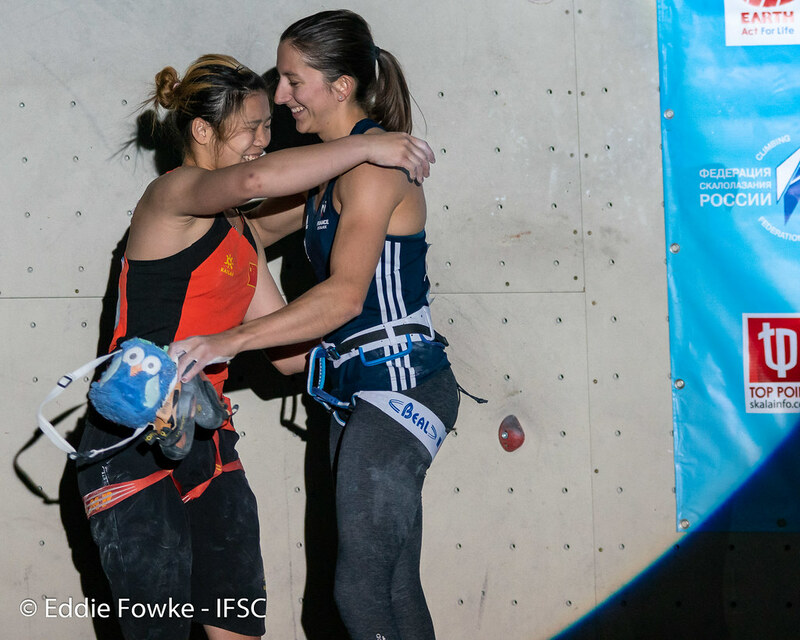 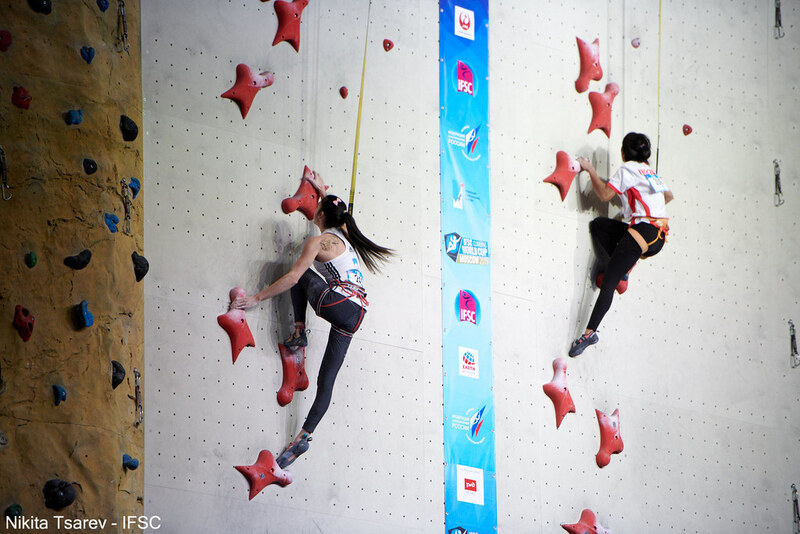 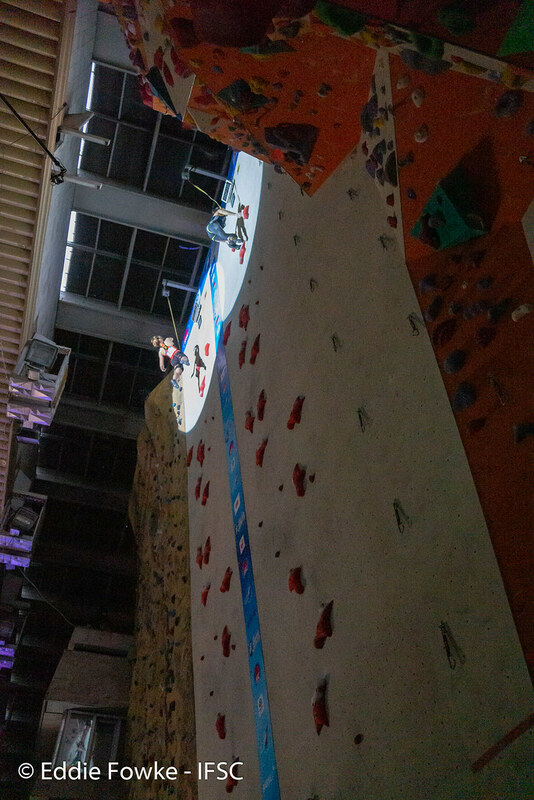 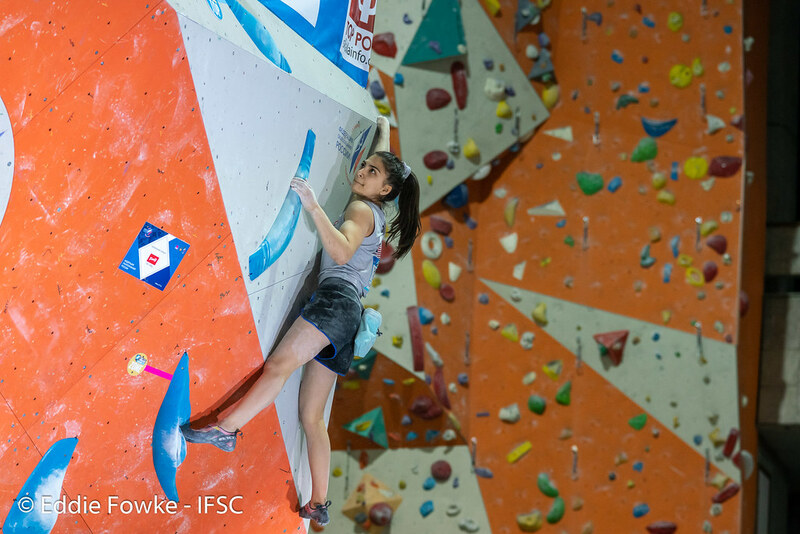 YiLing SONG from China performed with strength and consistency, which helped her take the gold with a final time of 7.38 and winning the first speed climbing competition of the season against Anouck JAUBERT (FRA).